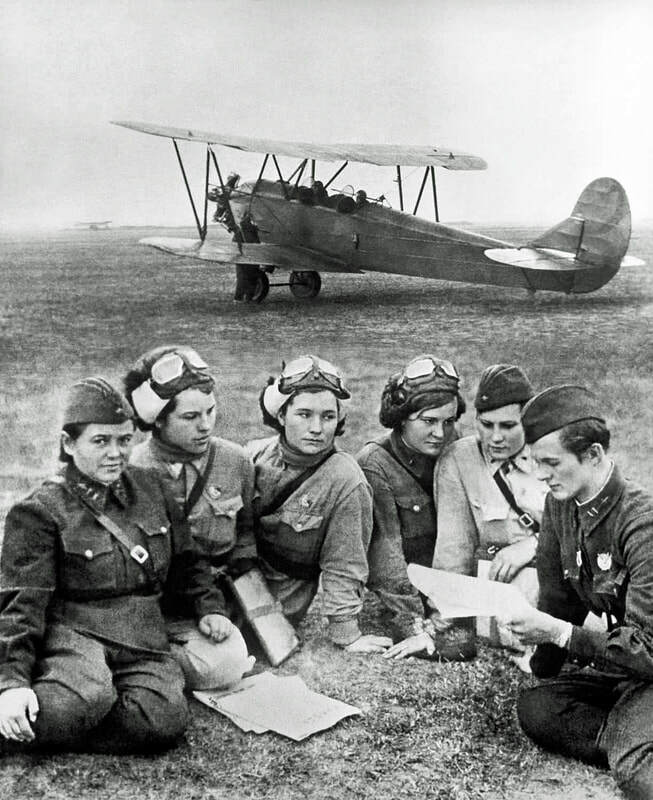 The "Night Witches" was the nickname given by the German soldiers, engaged in Operation Barbarossa, to the Russian women who every night, on board "silent" biplanes, bombed their positions. 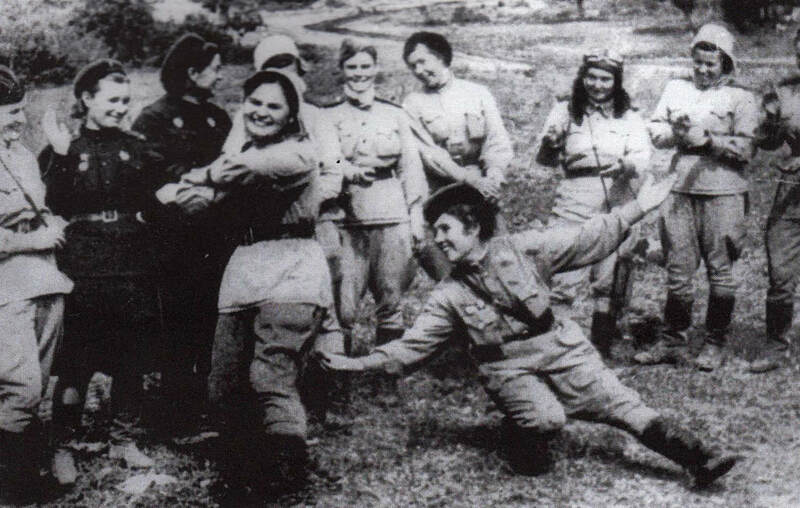 It was the 588th Night Bombing Regiment of the Red Army, made up of women only. 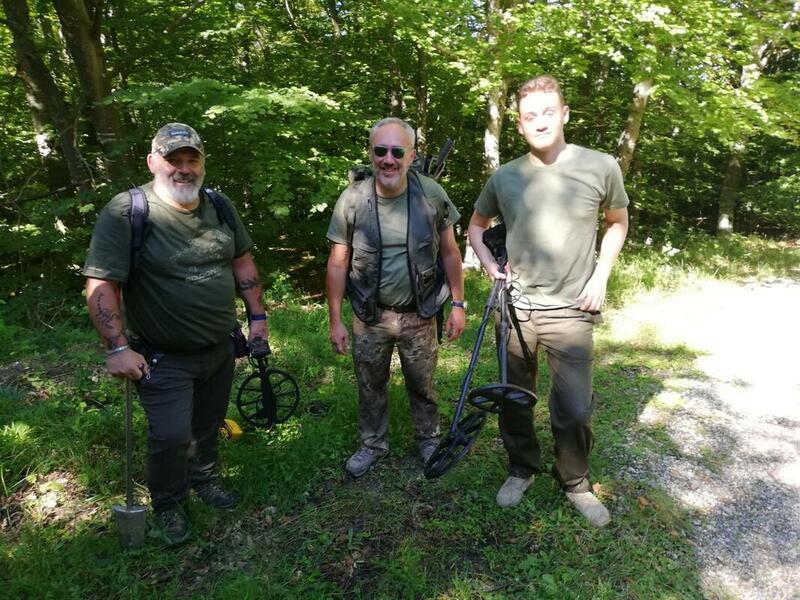 More than 70 years have passed since the end of the Second World War and even among the immense history that followed, events still emerge that we have not known about, but deserve to be known for their extraordinary nature. The story that is summarized below is so fantastic as to seem unbelievable. 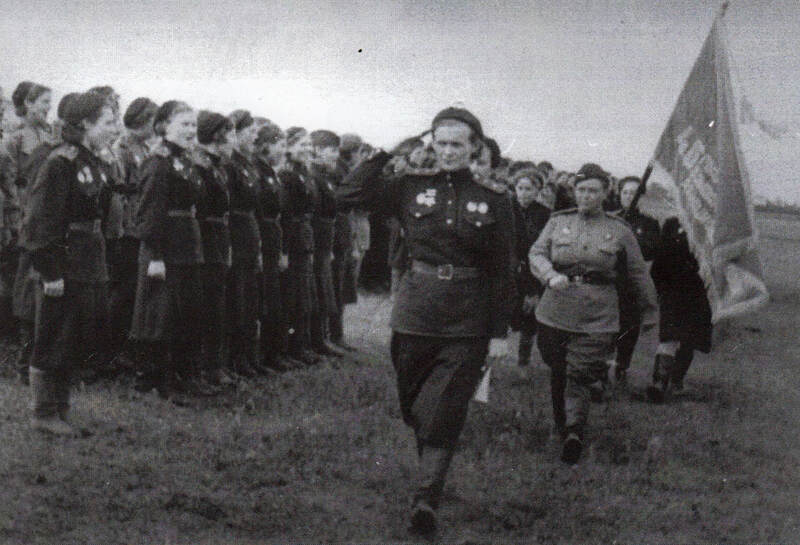 At the beginning of Nazi Germany’s invasion of the USSR , hundreds of thousands of women presented themselves or applied to the recruitment offices insisting on being sent to the front. 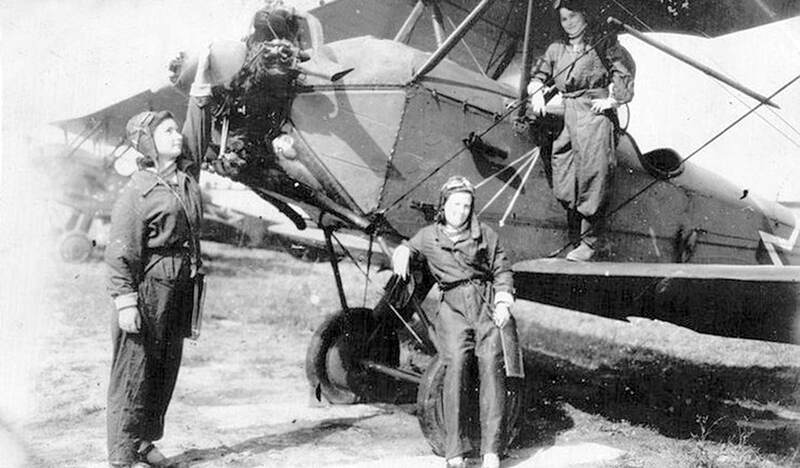 Among these, a thousand girls, already patented civilian pilots at aeroclubs, asked to be employed in flight departments as pilots. They wanted, like men, to defend their homeland. 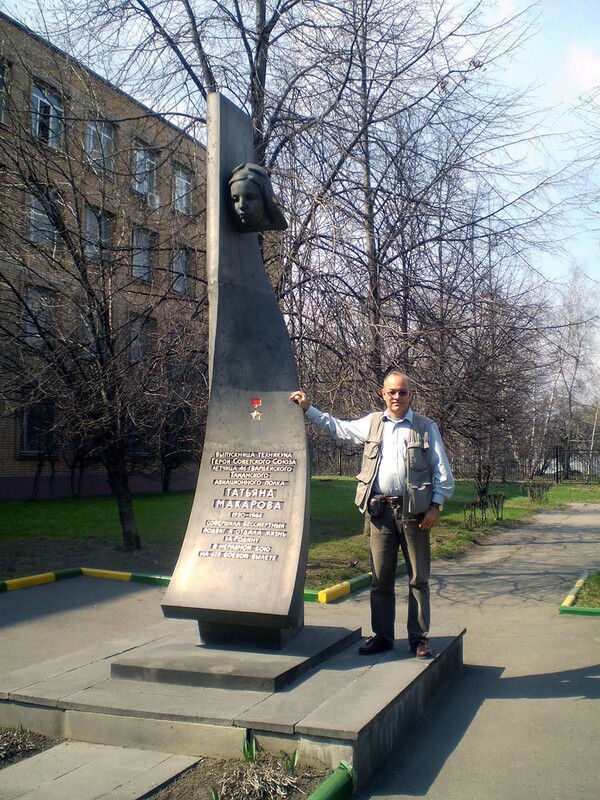 It is noted that the Second World War remains the "Great Patriotic War" for the Russians. 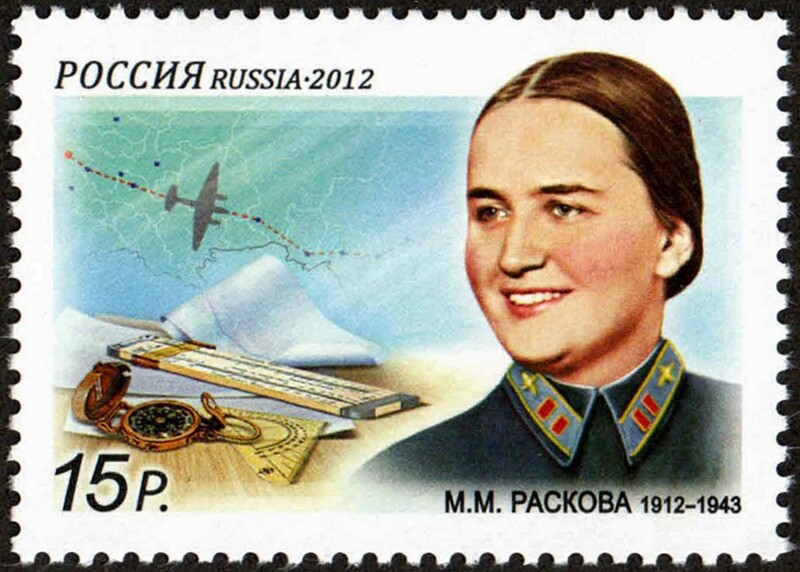 Not receiving answers the aspiring aviators sent "threatening" petitions to the famous pilot Marina Raskova, member of the Soviet Supreme, where they declared, with determination, that if they were not enlisted they were willing to steal the planes and go to the front... Raskova appealed to the Soviet Government to authorize the creation of some female regiments. The request was finally accepted with the establishment of 3 aeronautical regiments: 586 °, 587 °, and 588 °. 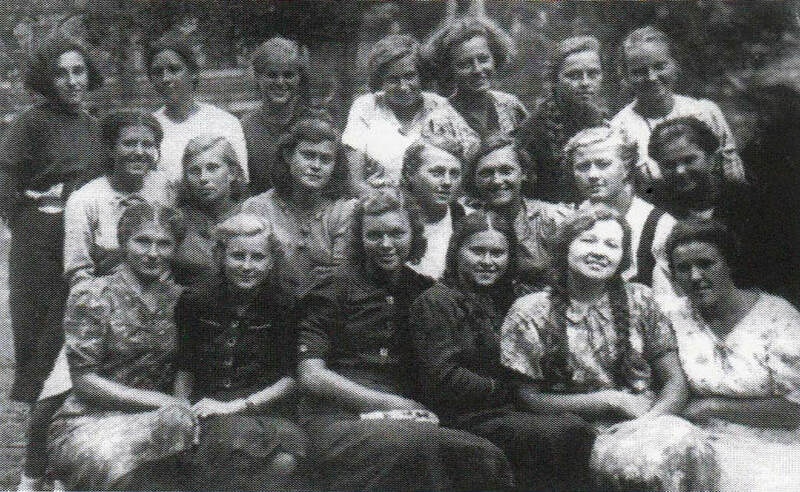 The most famous was the latter, the only one which always remained entirely composed of girls. 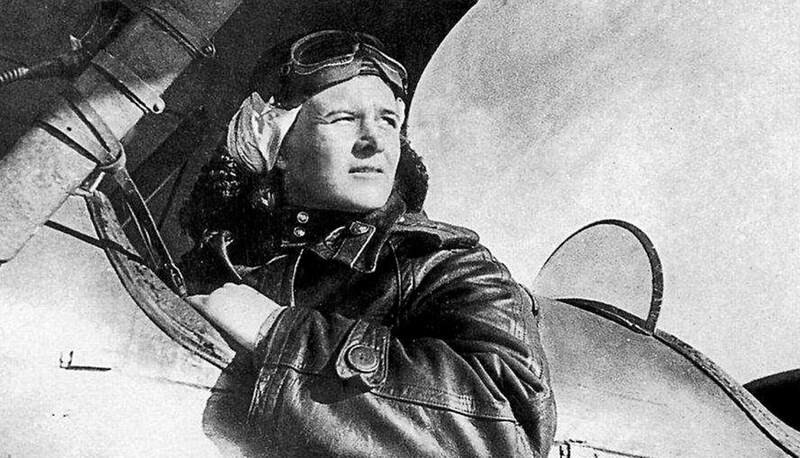 It was also the one that achieved the greatest successes and had the largest number of decorated pilots. Yet of the three it was equipped with the least modern means. 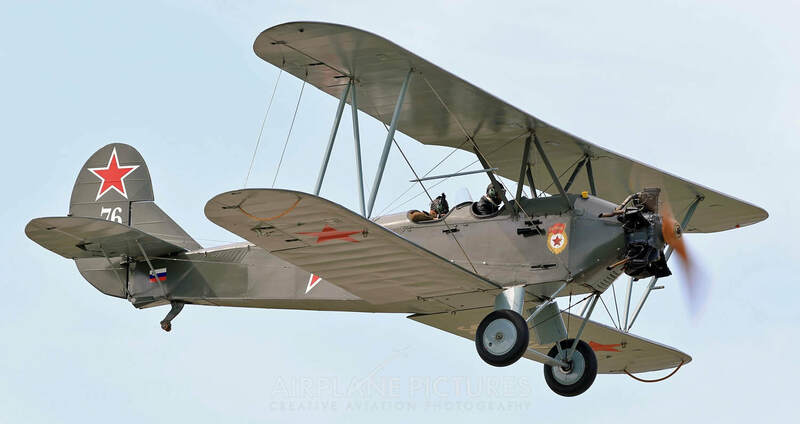 Photo above: the Polikarpov Po-2 biplane, the plane of the "Witches" (Piotr Strelecki Archive). 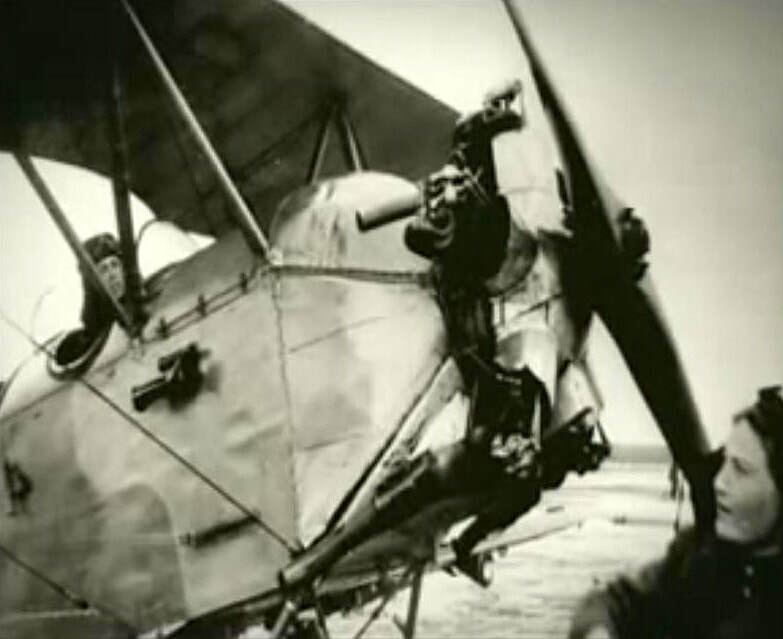 Characteristics of the PO-2 aircraft: empty weight 770 kg; maximum take-off 1300 kg; equipped with Shvetsov radial engine with 125 horsepower; maximum speed 140 km / h; approach speed 60 km / h; tangency 3000 m; autonomy about 500 km. 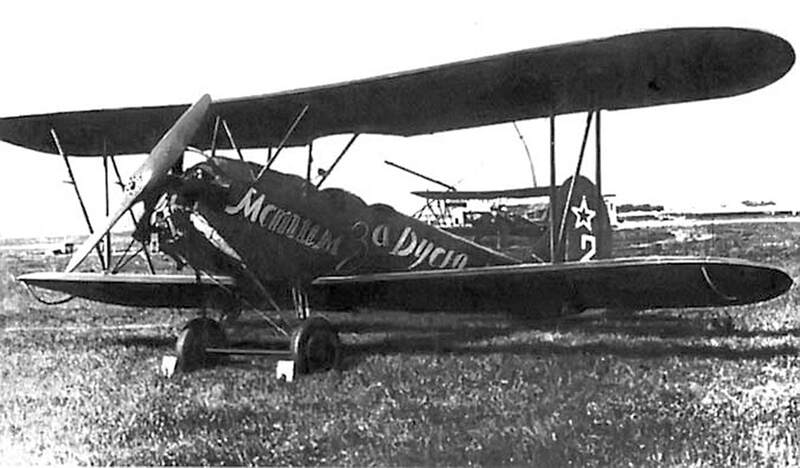 For the duration of the conflict, the plane of which the enemies called "die Nachthexen" or the "Night Witches" was the Polikarpov Po-2, a tandem two-seater biplane built with wood and canvas that entered service in 1928. 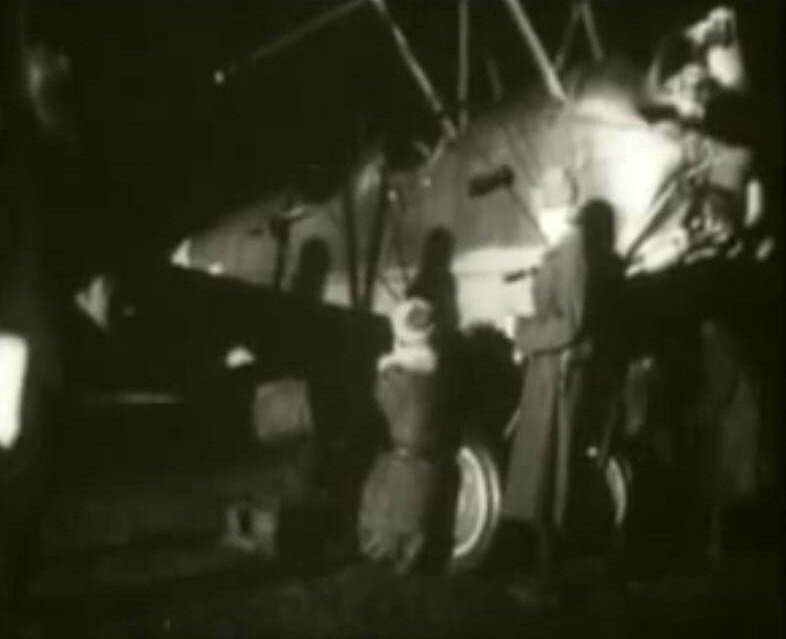 Slow, with no optical equipment or other equipment for night flights which was preponderant in the missions. 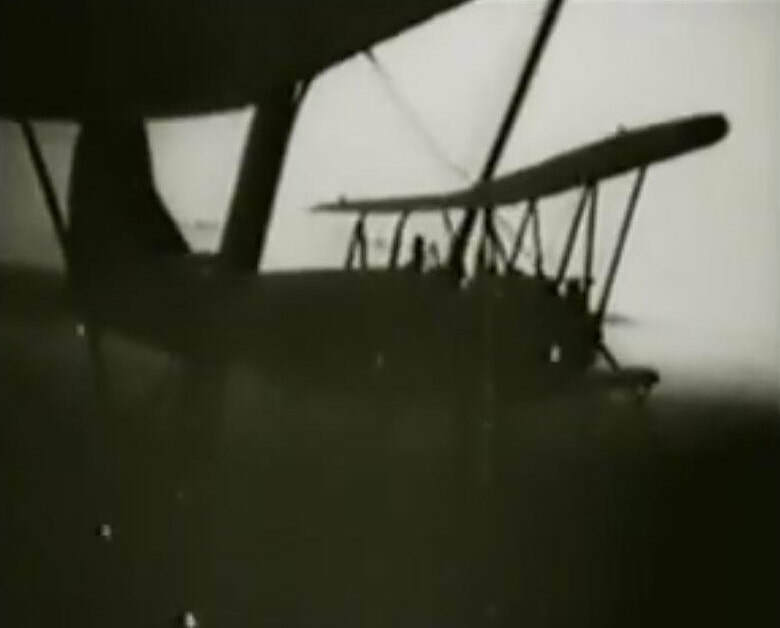 The radio was also missing on board, and the pilots communicated with each other through the intercom, which was nothing more than a rubber tube with two funnels, one for each end. 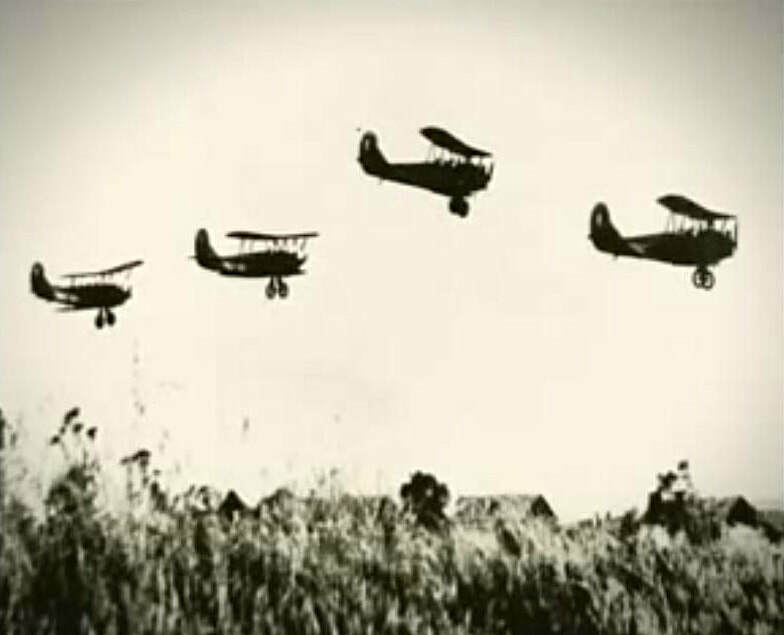 To save on the weight pilots and navigators flew without parachutes which in any case would have been effective from a minimum of 800 meters while at lower altitudes they were practically useless. 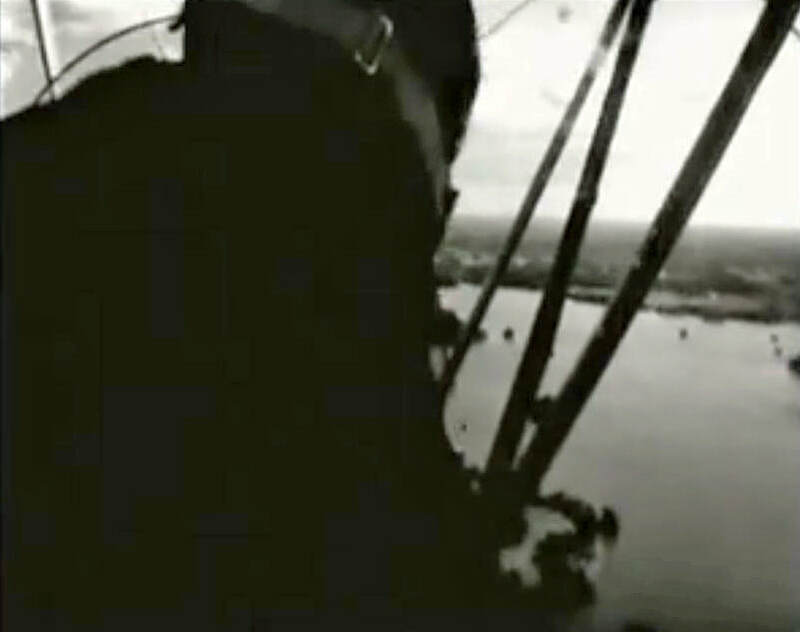 Also, due to a defect in the lever for releasing the bombs, the navigator had to releasemanually, leaning out of the cockpit and clinging to the frame. 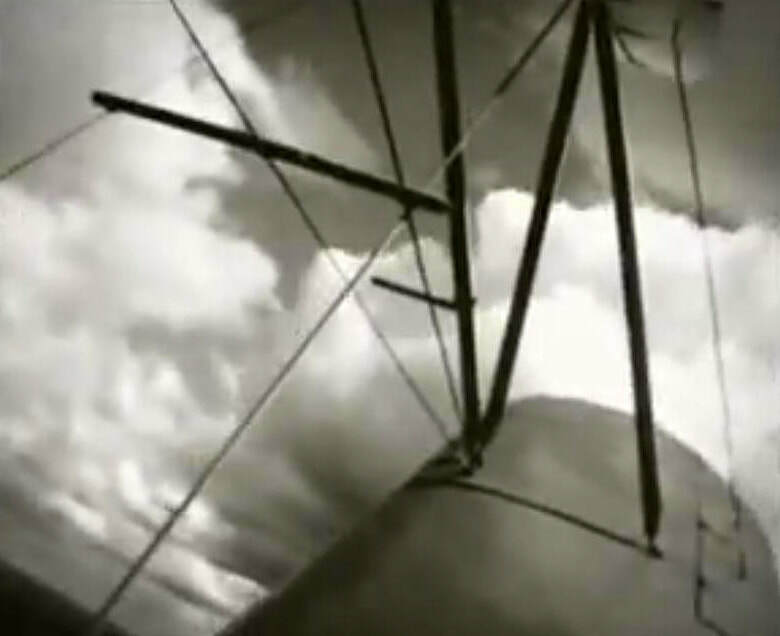 A trapeze act but without a net. 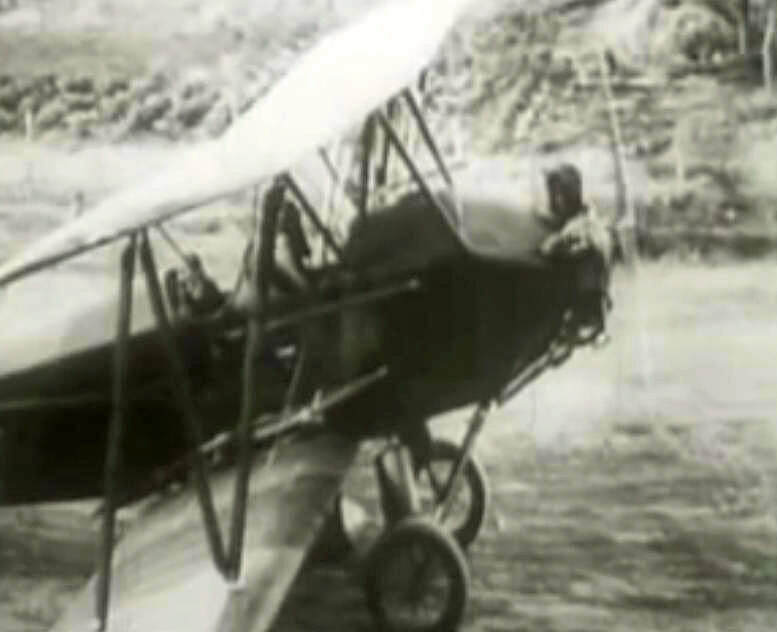 The plane, however, had the advantage of being very manoeuvrable and able to take off or land in a small space, practically anywhere. 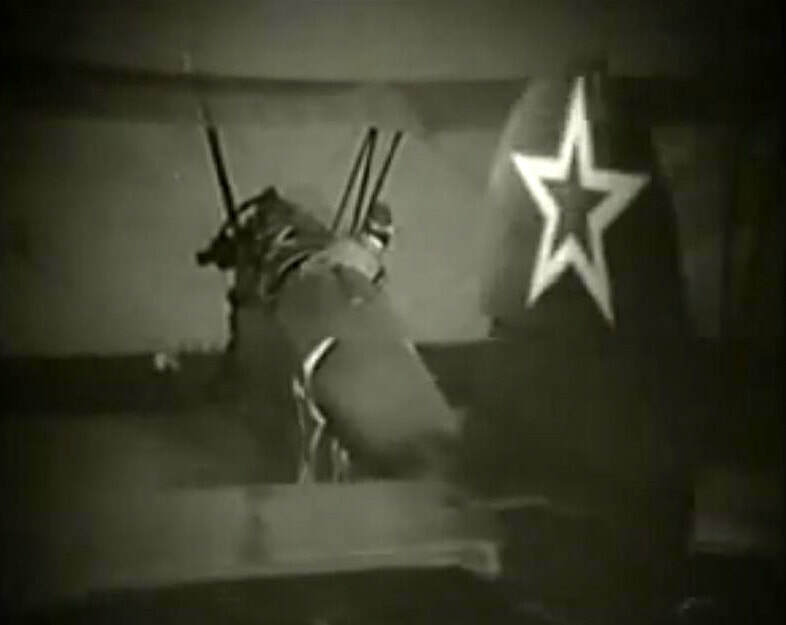 The very low stall speed of the Polikarpov Po-2 was expertly exploited by the Witches who, at the sight of the enemy fighters ready to fire, carried out a turnaround and set themselves at the minimum speed possible. 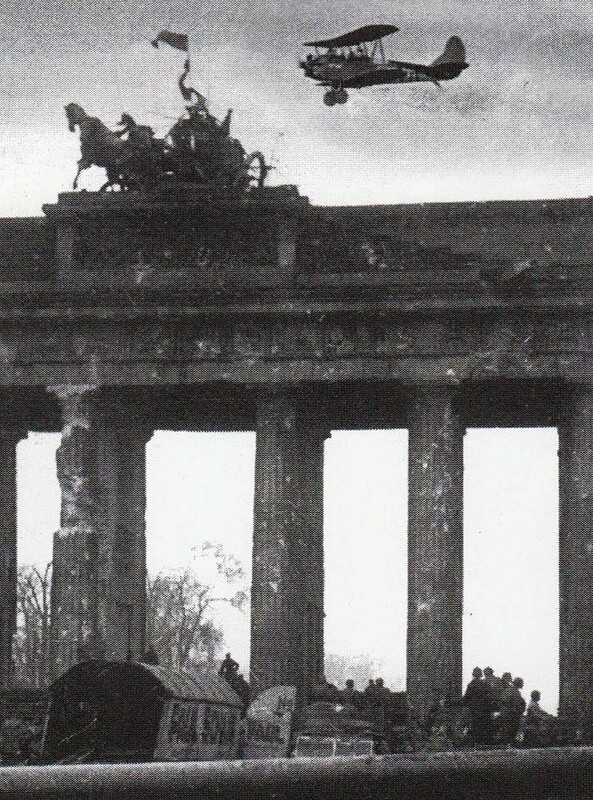 The Messerschmitts, unable to travel at those speeds, had to make a wide circle to be able to reach them again, and the Witches repeated the manoeuvre ... 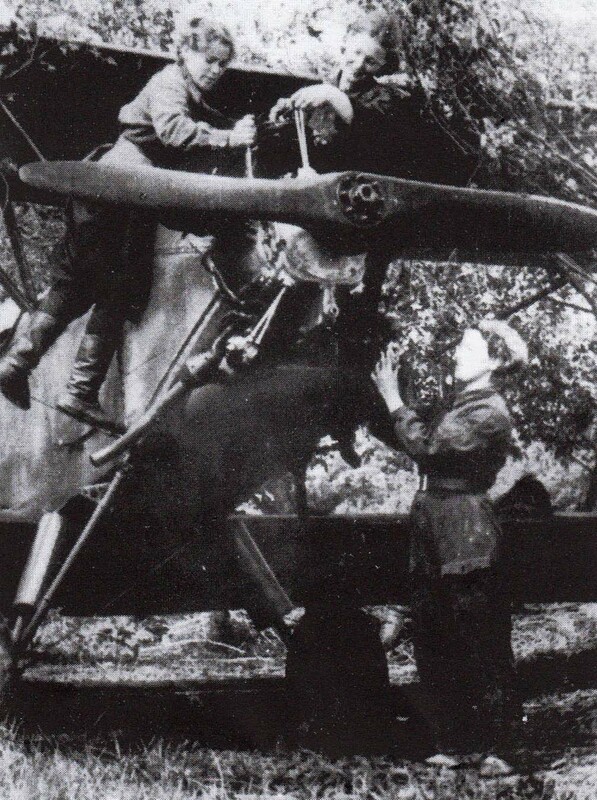 These women had to have achieved extraordinary flying skills combined with an immediate shrewdness because, despite the superiority of the German fighters, the Polikarpov was not an easy prey, so much so that the Iron Cross was foreseen for those who shot one down. 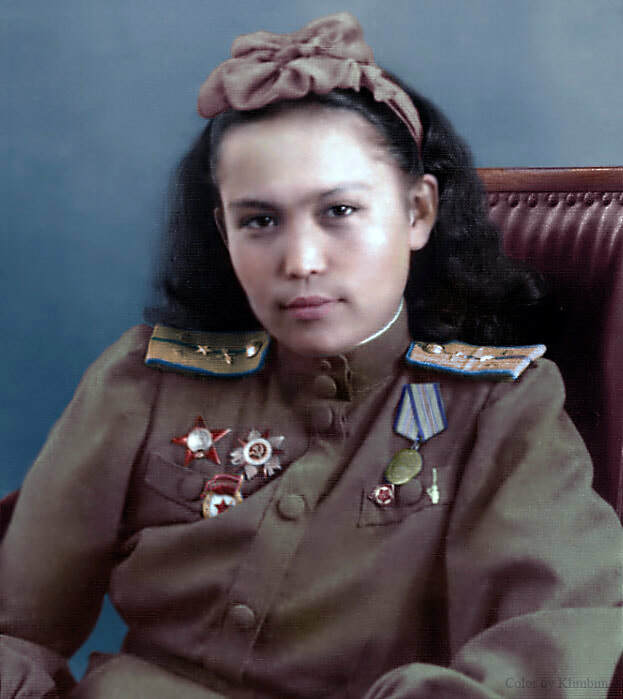 Marina Mikhailovna Raskova was born in Moscow on March 28, 1912. 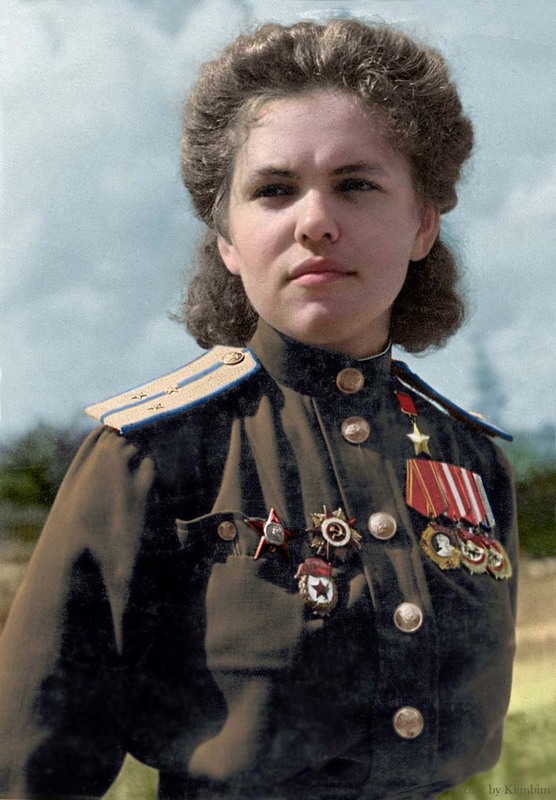 Her father Mikhail Malinin was an opera singer, her mother, Anna Liubatovich, a teacher. 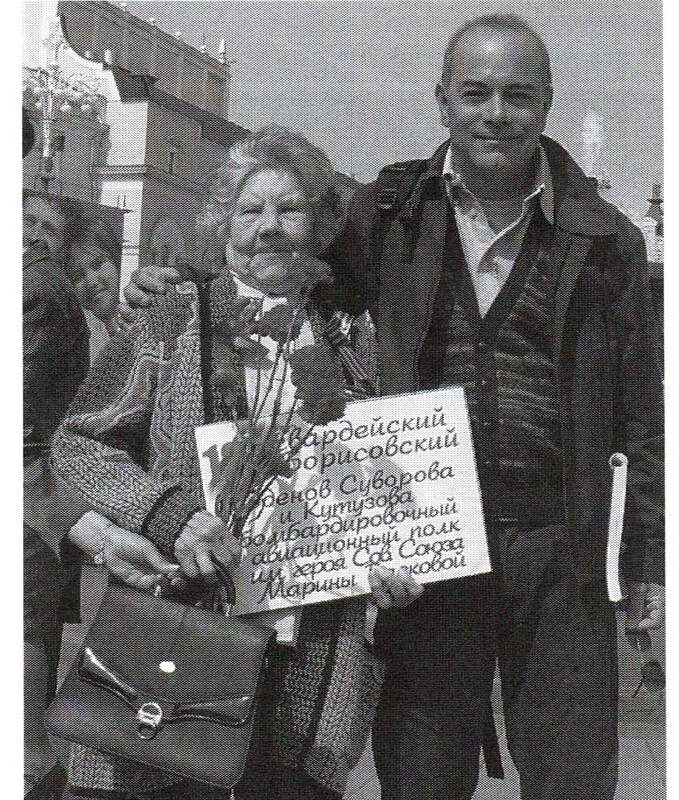 She also had an aunt, Tatyana Liubatovich, who was also a singer. Everything pointed to her dedicating herself to music too, and in the early years she did so. But she later left behind the scores and studied chemistry. 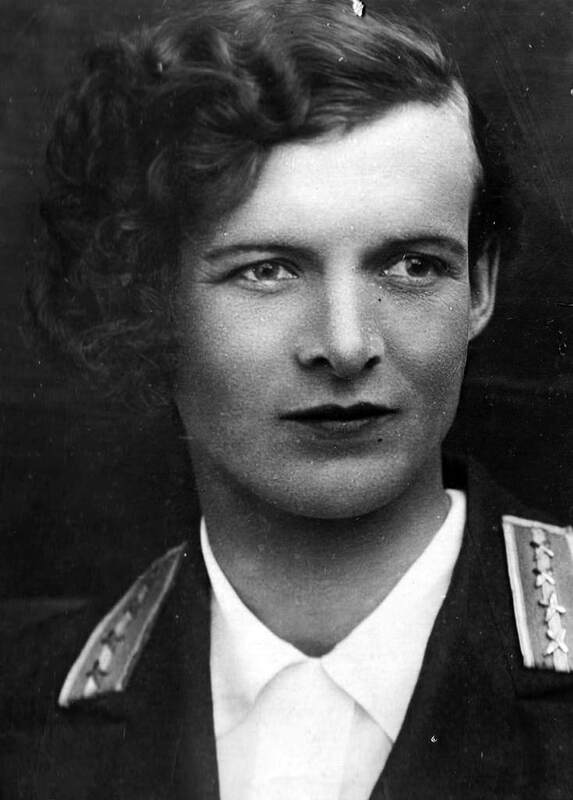 After graduation she married Sergej Raskov, with whom, in 1930, she had a daughter named Tanya. 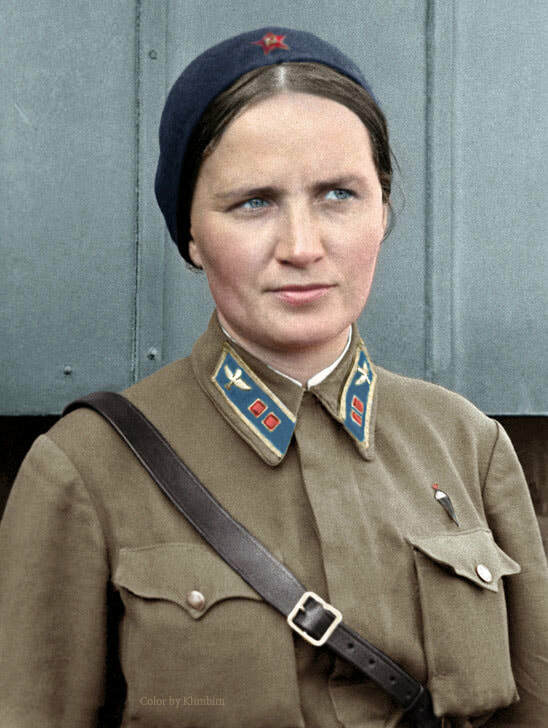 The following year she was recruited at the Academy of Soviet Military Aviation "Zukovsky" as a laboratory technician. 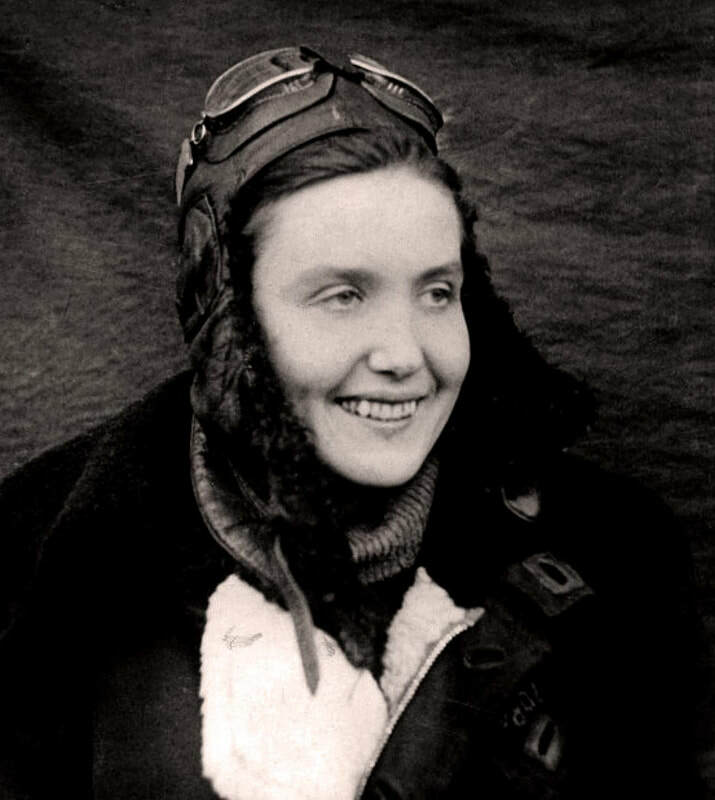 Here she began her passion for flying. 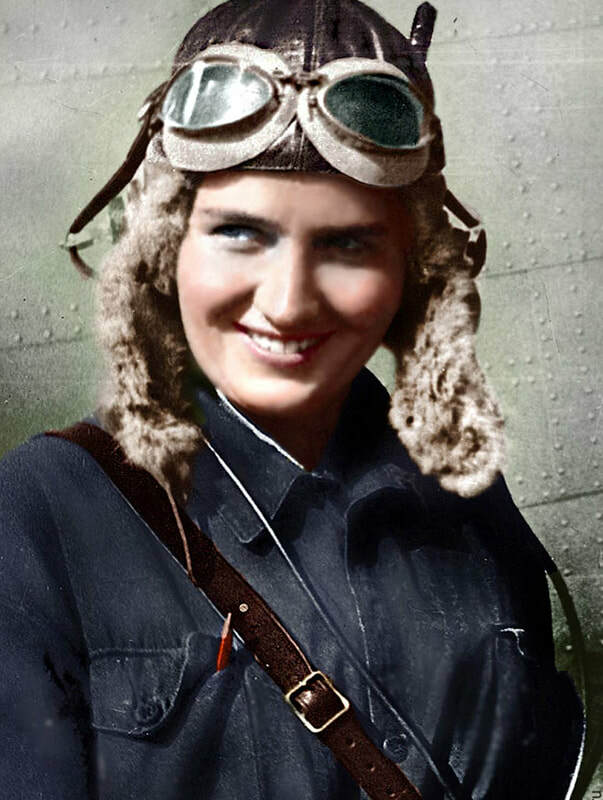 She applied to become a navigator in 1934 then later she applied to become a pilot. 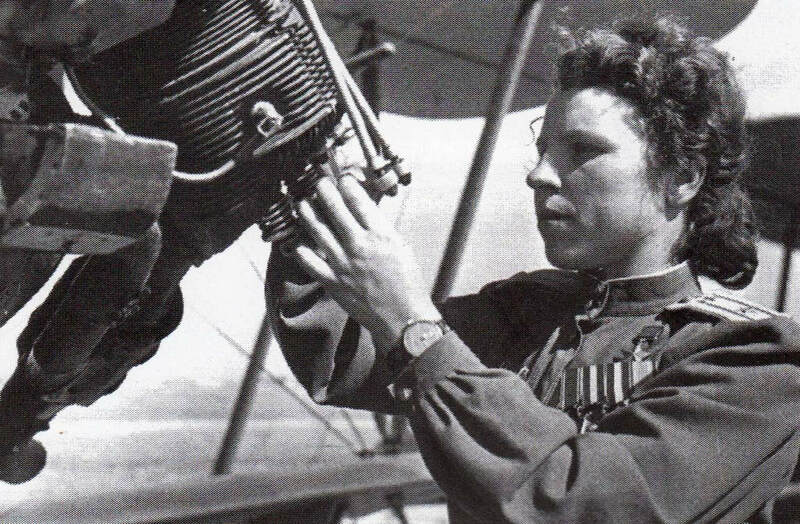 Marina had evidently found her way and not only succeeded in becoming a navigator and pilot, but a few years later, in 1937, aboard a Yakovlev Air-12, in a crew with Valentina Grizodubova, established the female world record of non-stop distance, 1445 kilometers. 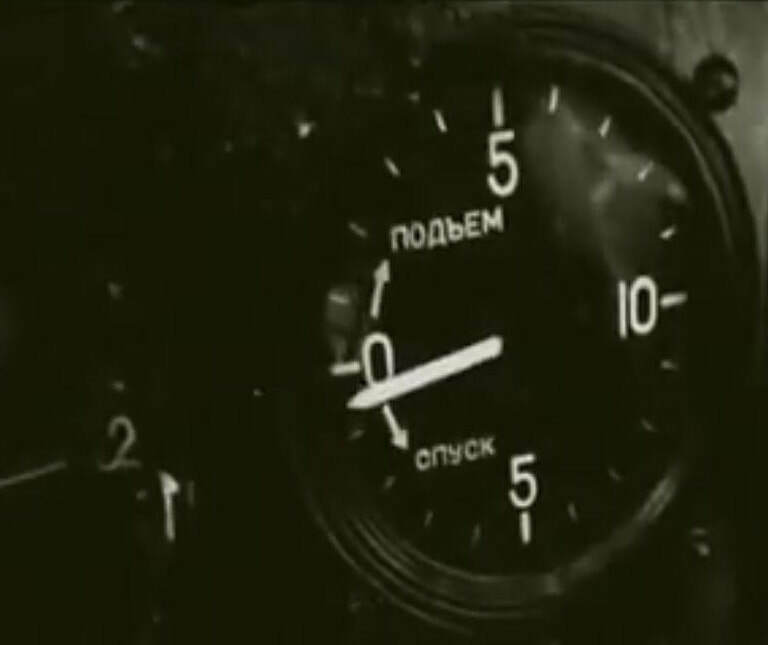 The following year in a civilian seaplane "Beriev MP-1 she reached a new record, 2241 kilometers, and in September of the same year (1938), together with Valentina Grizodubova and Polina Osipenko, flew non-stop from Moscow to Komsomolsk-on-Amur ( About 6,000 kilometers), in a Sukhoi ANT-37 called Rodina (Motherland). 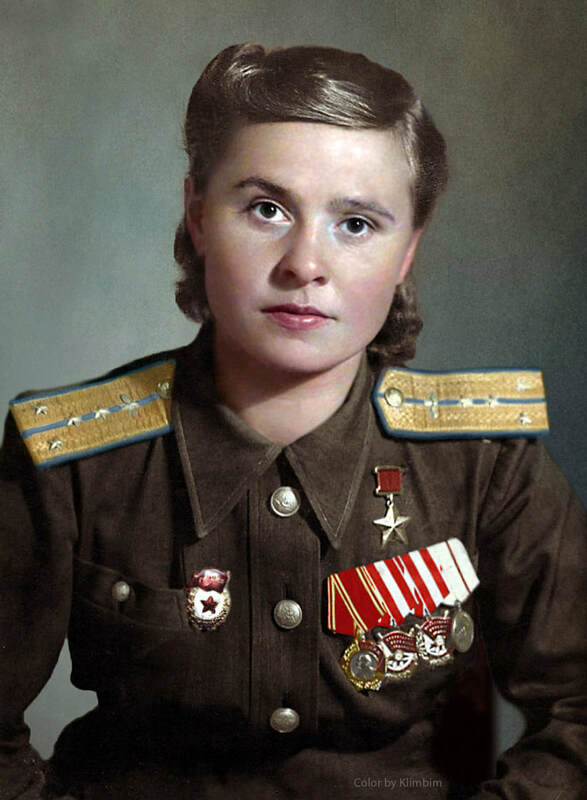 For these exploits she earned the title "Heroine of the Soviet Union." 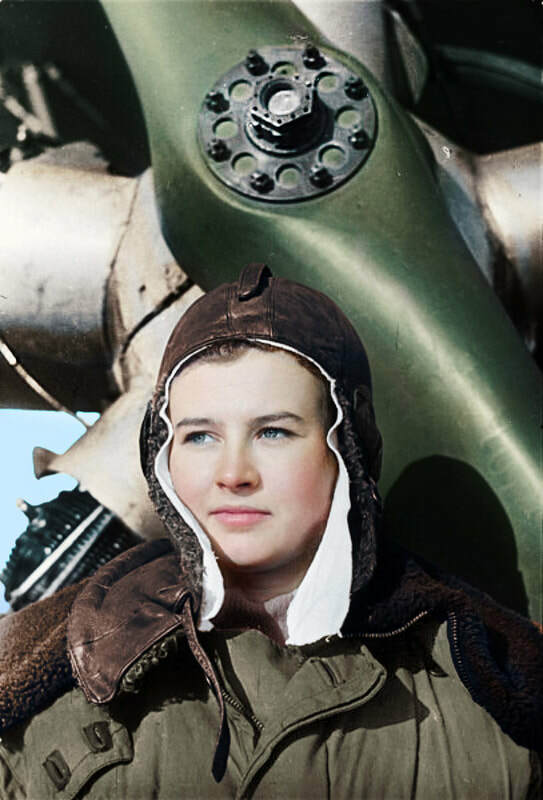 She died on January 4, 1943 in a plane crash while she was in command of a bomber directed at Stalingrad. 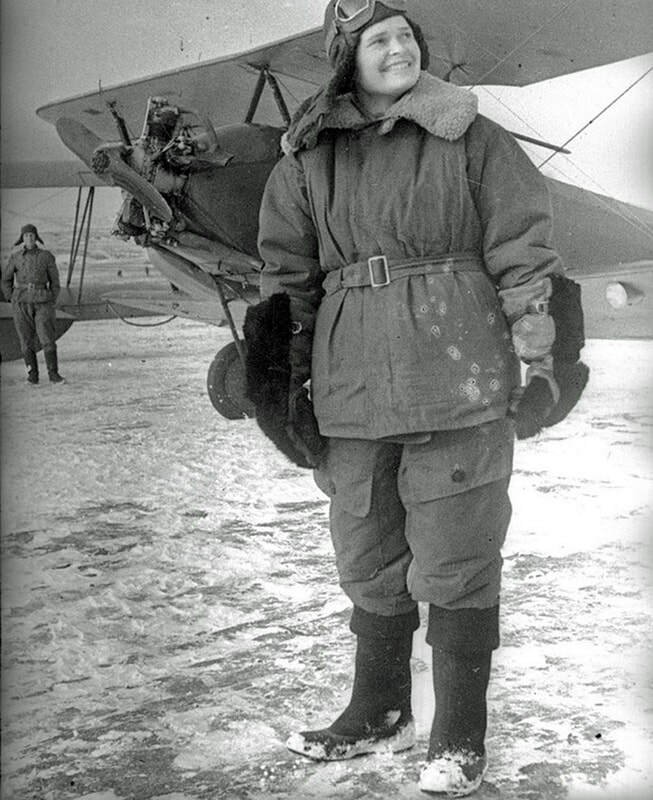 The patrol commanded by her was composed of three planes that suddenly found themselves in a furious blizzard of snow and ice. 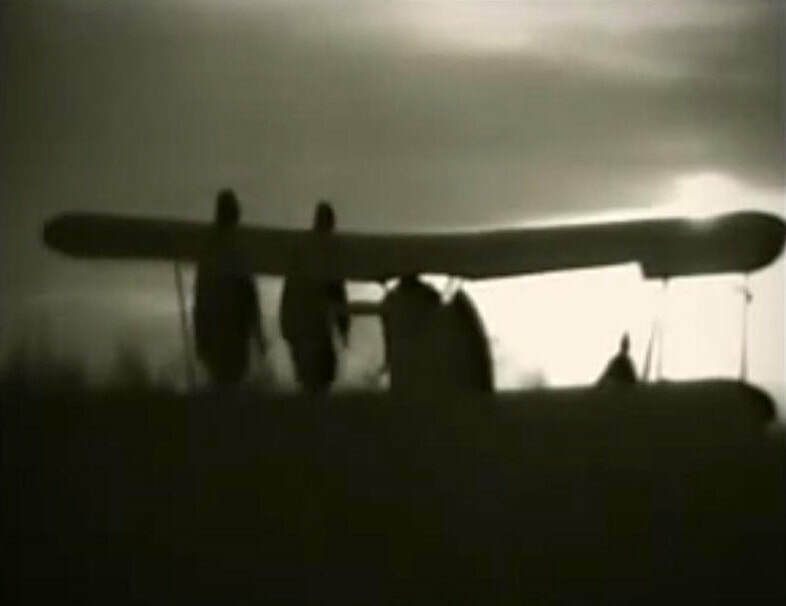 In the attempt to make an emergency landing, her plane crashed on the banks of the Volga and no member of the crew managed to escape. 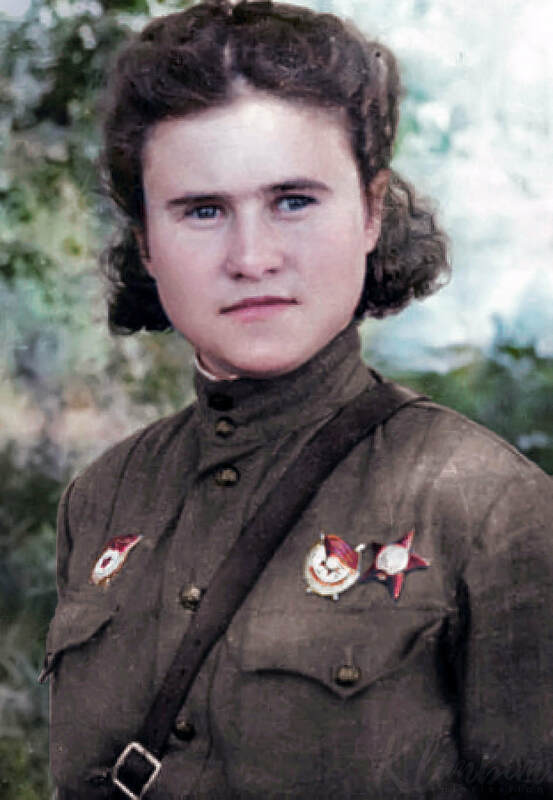 Raskova received a state's funeral and her body was buried in the Kremlin. 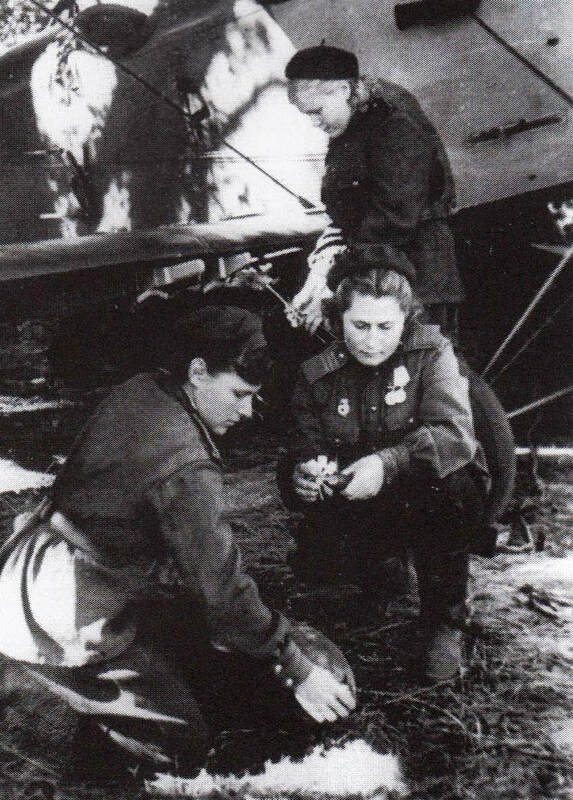 On October 8th 1941 Stalin signed the decree n. 0099 which authorized the constitution of three female aircraft regiments: the 586th Hunting Regiment, equipped with Yakovlev Yak-1 aircraft and commanded by Major Tamara Kazarinova; the 587th Daytime Bombardier Regiment, equipped with heavy Petlyakov Pe-2 bombers under the orders of Major Marina Raskova; finally, the 588th Night Bombardier Regiment in the old Polikarpov Po-2 with Major Evdokiya Bershanskaya in command. 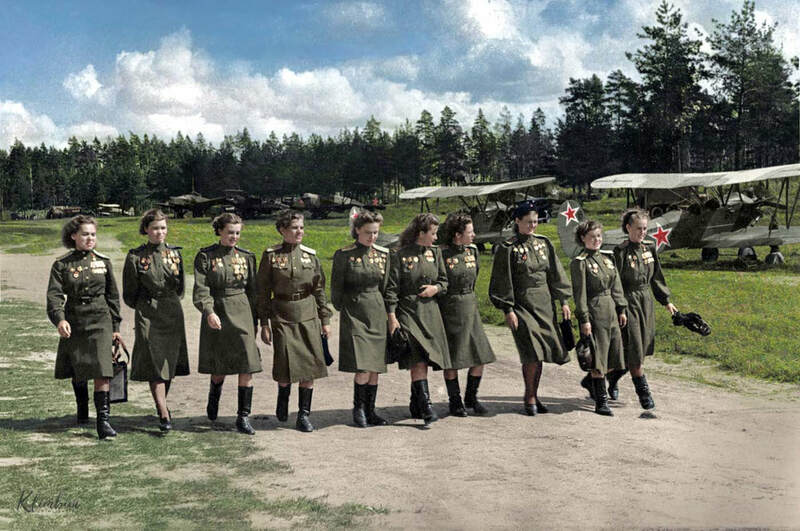 The members of the latter regiment had an average age of 22 and would become famous as "Night Witches". 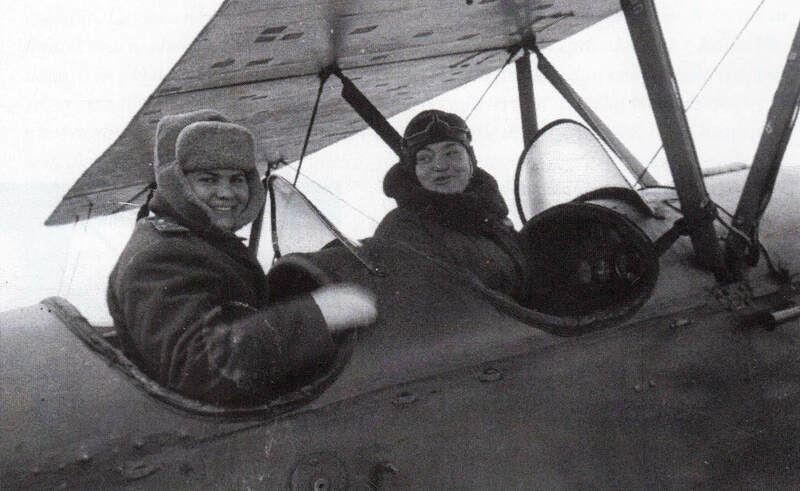 The name "Witches" was given by the Germans, some say it was Johannes Steinhoff, a German ace on the Russian front. 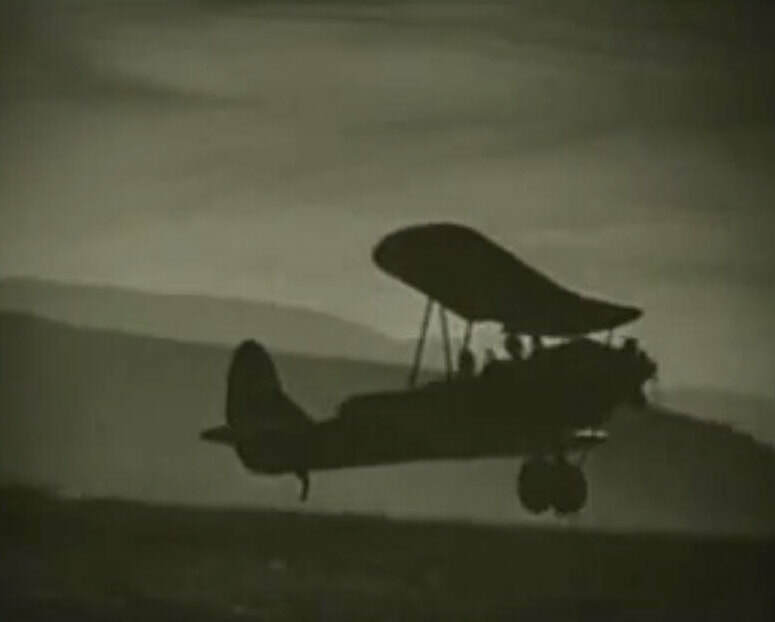 Certainly it was born for their way of war: to arrive suddenly, always in darkness, to glide with the engine idling to make as little noise as possible, drop the bombs on the targets and "disappear" immediately, to return again with a another goal, and so on until dawn. 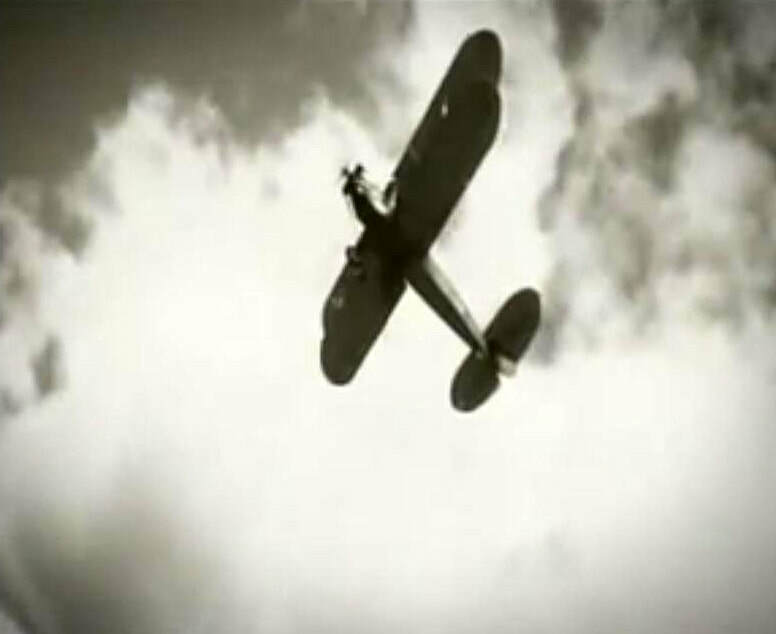 Using the sky during the daylight hours, over an enemy who possessed highly efficient anti-aircraft weapons and the latest generation of fighter planes, with a World War I plane was tantamount to suicide ... 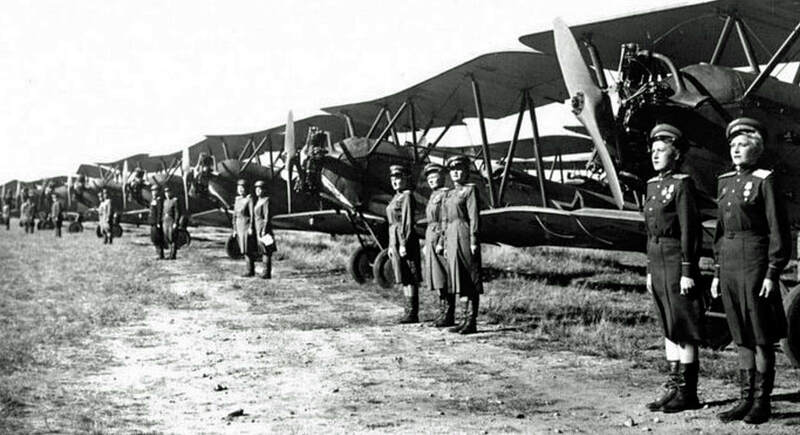 The Germans also gave a nickname to the biplanes: "sergeant on duty" or "sewing machine"; while the "Night Witches" were also called "The Falcons of Stalin". 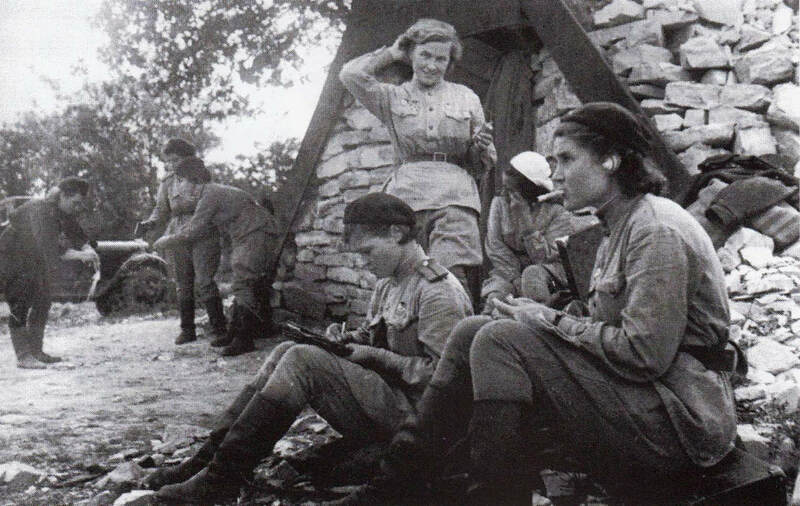 The staff of the newly formed 588th Regiment was sent to the Engel Air Force Base, a small town north of Stalingrad, on the Volga River. 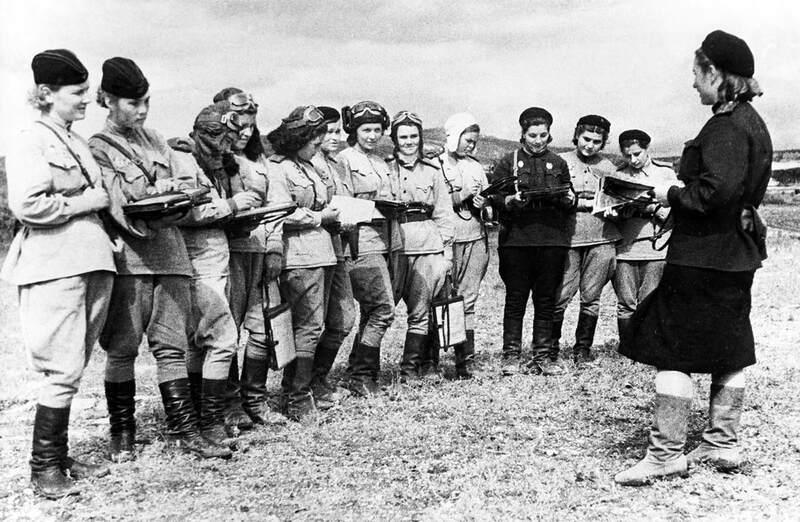 Here the training of pilots and specialists began. The period for the preparation of the crews was adjusted to the times of war and in just six months the "Witches", with an extraordinary commitment that lasted 15/17 hours a day, completed the course that in normal times took several years. 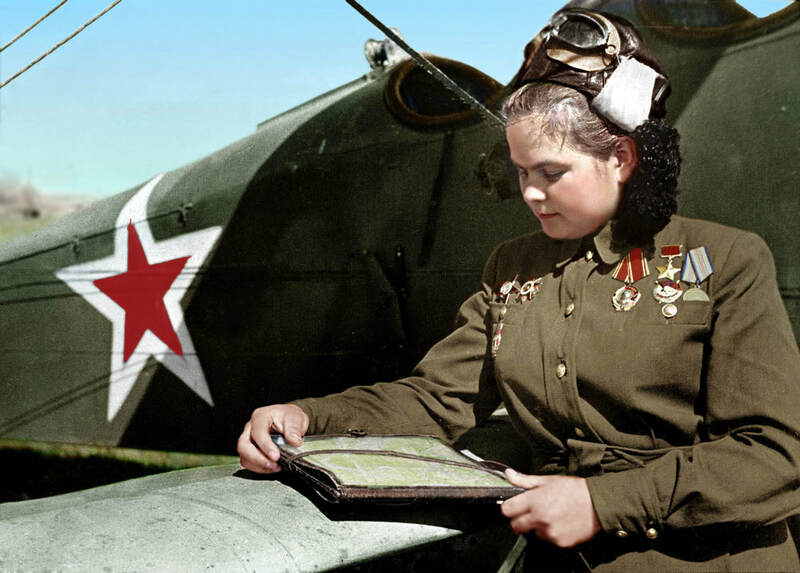 The baptism of fire took place on June 8, 1942 near Voroshilovgrad (now Luhans'k), in eastern Ukraine: a squadron of three planes with commander Bershanskaya in the first one, bombed a German headquarters. 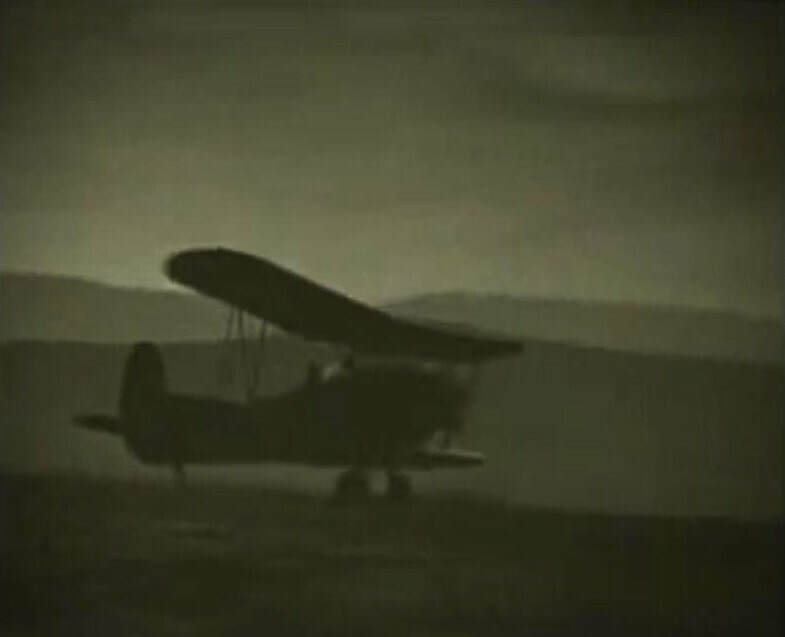 The mission was a success, despite the loss of a biplane and its crew. 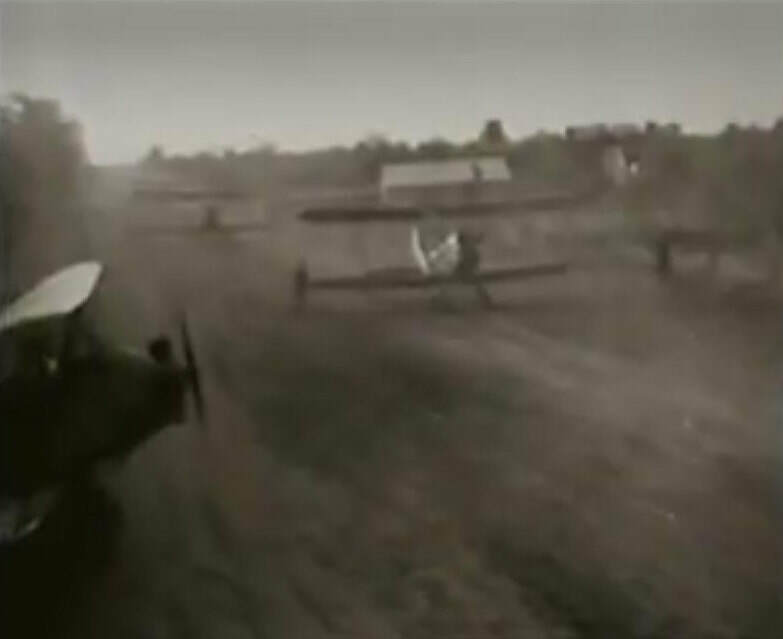 The 588th Regiment was dislocated, as the war changed front, to different "airports" (which were nothing but flat fields of a few hundred meters long, prepared in a hurry to allow safe takeoffs and landings), always close to the front lines for tactical-logistical reasons. 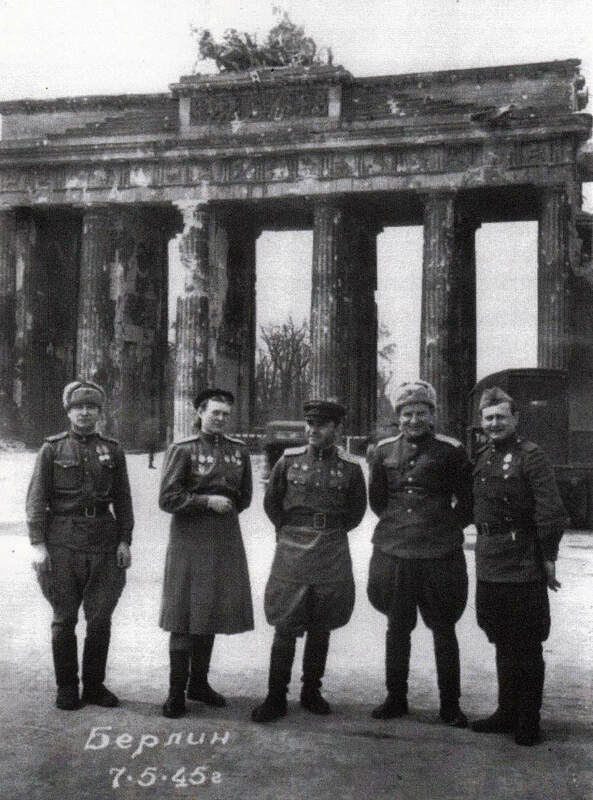 The first camp was near Stalingrad, then in Krasnodar, Novorossiisk, Kerch, Sevastopol, Minsk, Warsaw, and finally Berlin. 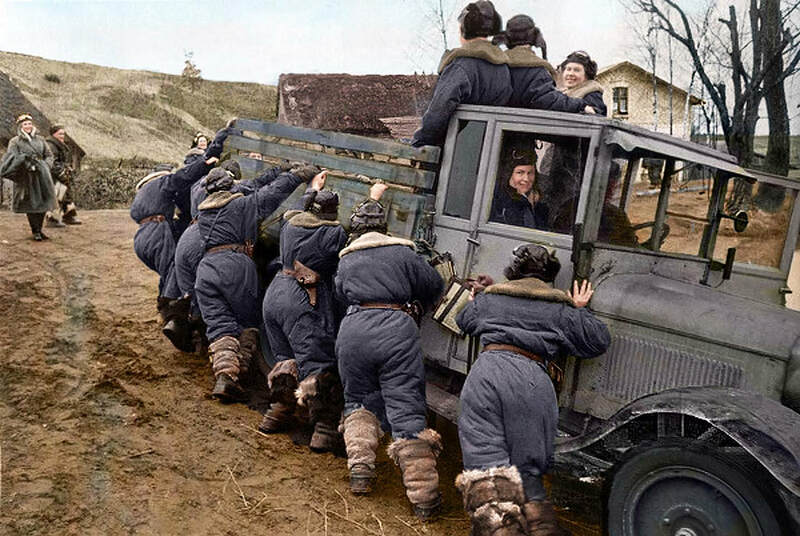 The targets assigned to the "Witches" were deposits of fuel and ammunition, troop encampments, bridges, enemy commands, etc, but they were also used for missions to supply food and ammunition to Russian detachments surrounded by Germans. The 588th Regiment in all its operational life, carried out 23,672 raids and dropped about three thousand tons of explosives. 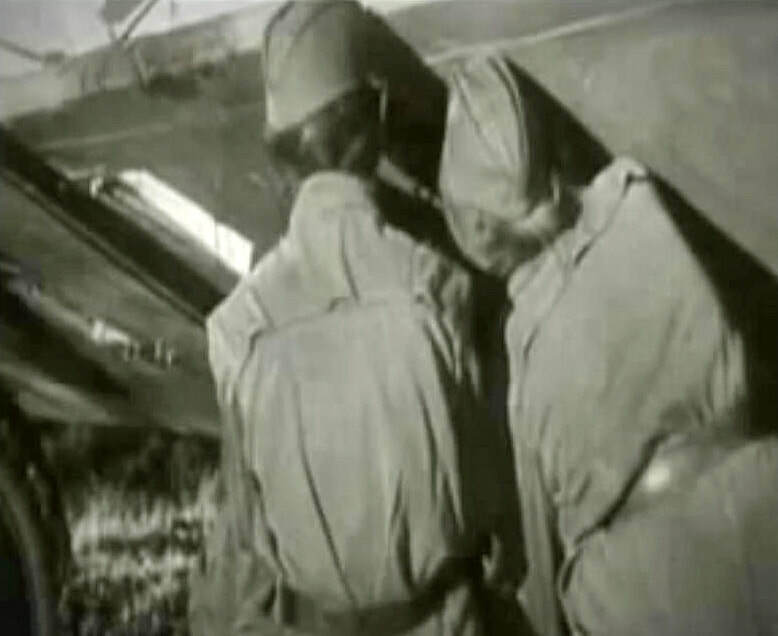 In 1943, for merits of war, the 588th Regiment took the name of the 46th Regiment of the "Taman" Night Bombardment Guards. 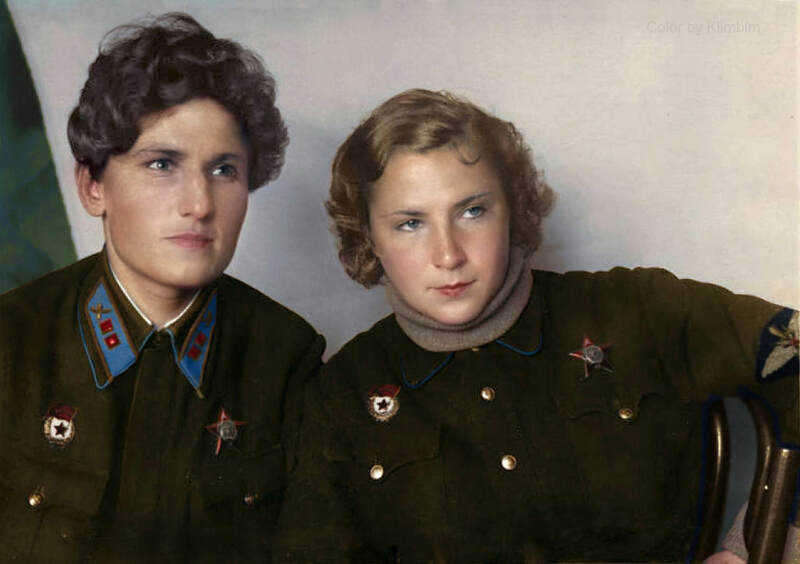 It was the most decorated flight section of the entire Union of Soviet Socialist Republics. 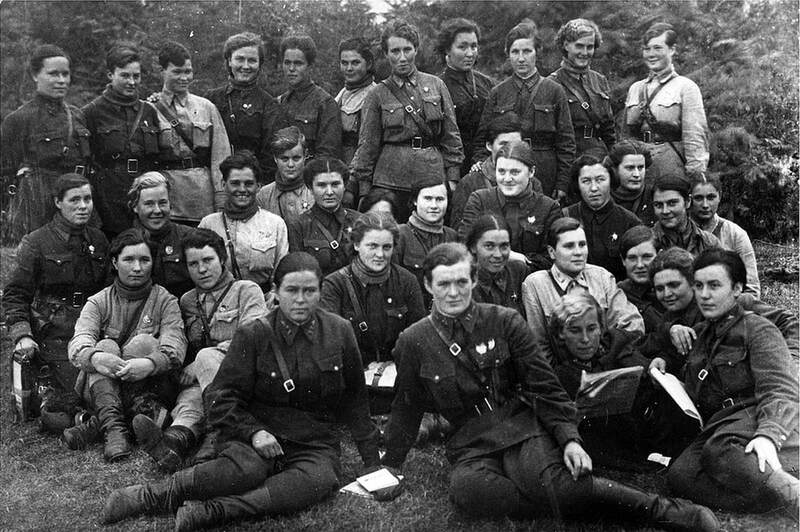 23 "Witches", from a staff of just over two hundred girls, earned the title of "Heroines of the Soviet Union", the highest honour of their country. 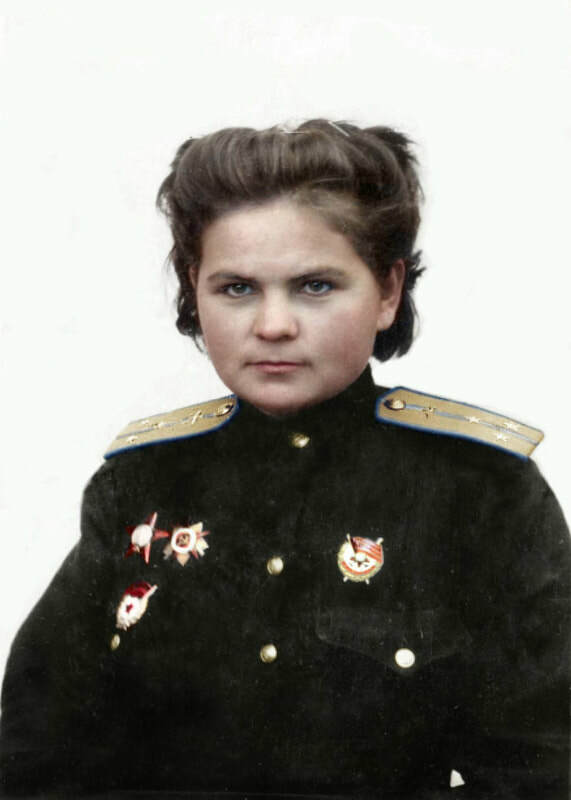 Bershanskaya, endowed with a rare intelligence and a profound practical sense, turned out to be an extra ordinary organizer and knew how to make the most of the potential of her "Witches" and of the poor means of war provided. She became a point of reference for her superiors, to whom she guaranteed readiness and efficiency. 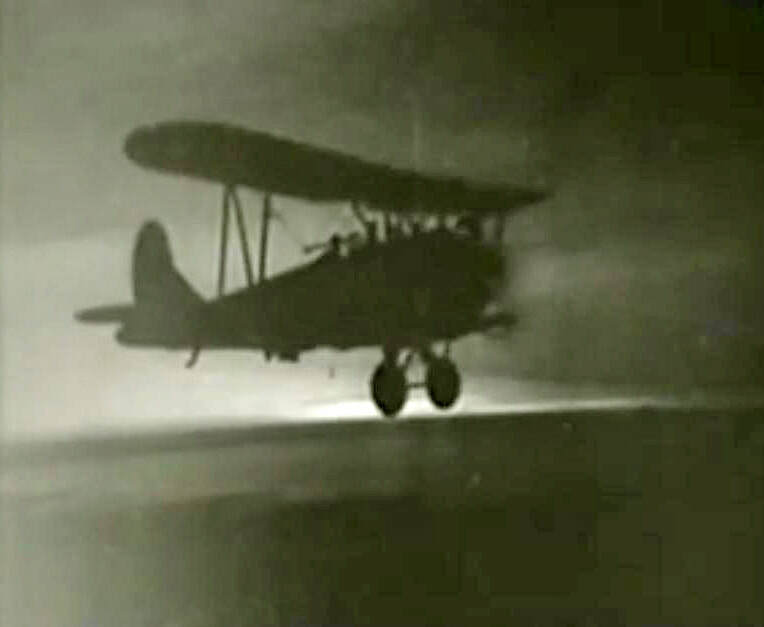 At all times she had always crews and airplanes available for the missions in which she often participated. 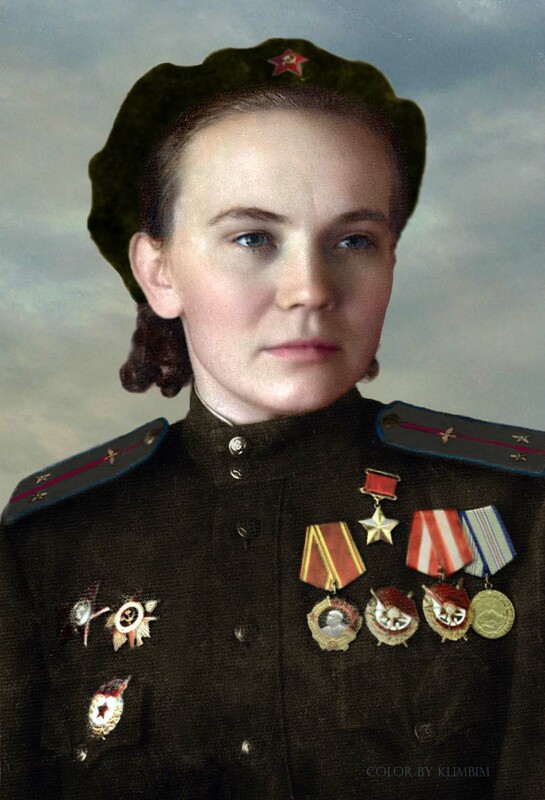 Drawing on her experiences in the field and taking advantage of her large operational autonomy, she developed new systems of attack that gave gratifying results. As time passed her results were also noticed by the high commands and decorations for herself and her "witches" rained down. 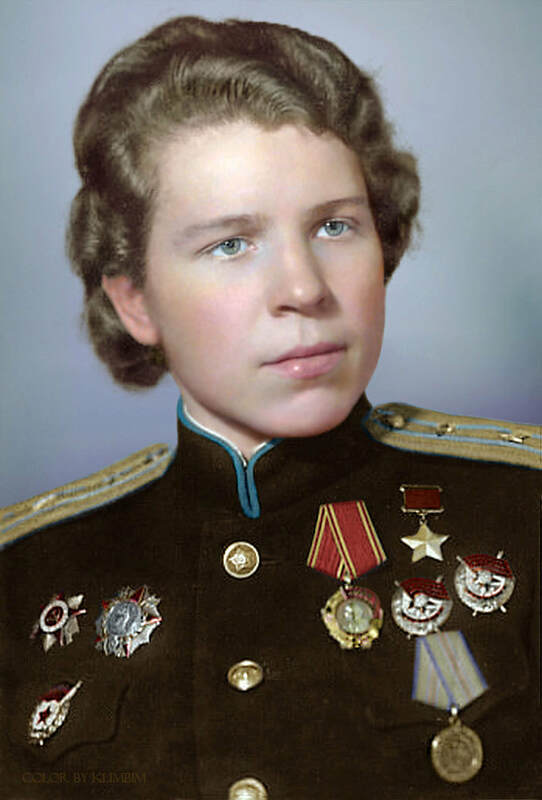 She was in fact one of the most honoured flight commanders of the USSR. 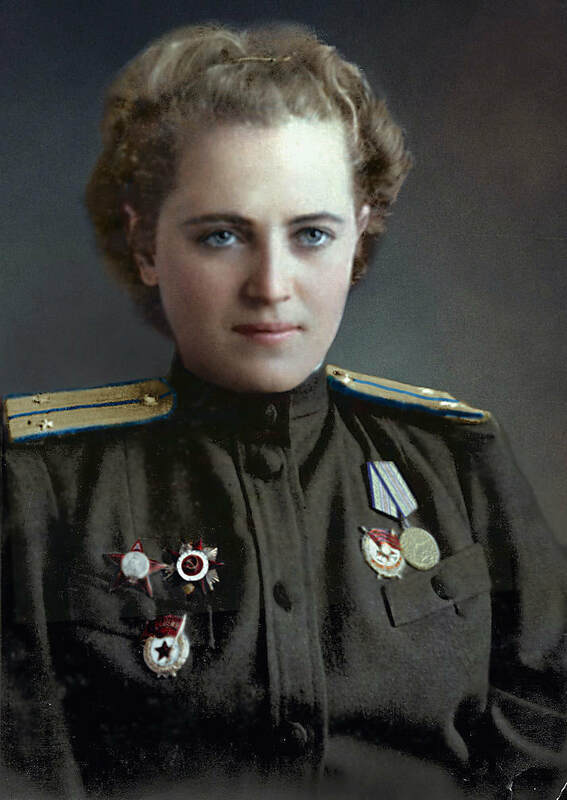 She was the only woman awarded the Order of Suvorov (a recognition for exceptional leadership skills during the war). 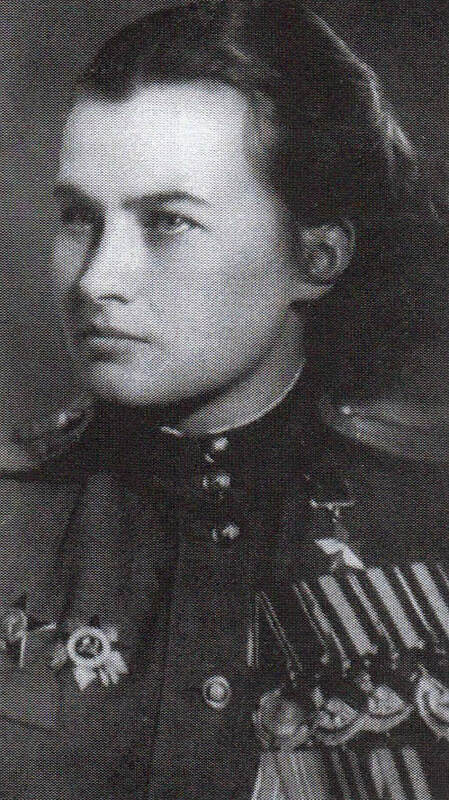 At the end of the war she left her "Witches" a last example, perhaps the most important: she had been promoted to Colonel and earned honours as no other woman before, but rather than capitalize on her medals, as did most in the military, she retired to private life by marrying one of her fellow officers, with whom she had three daughters. 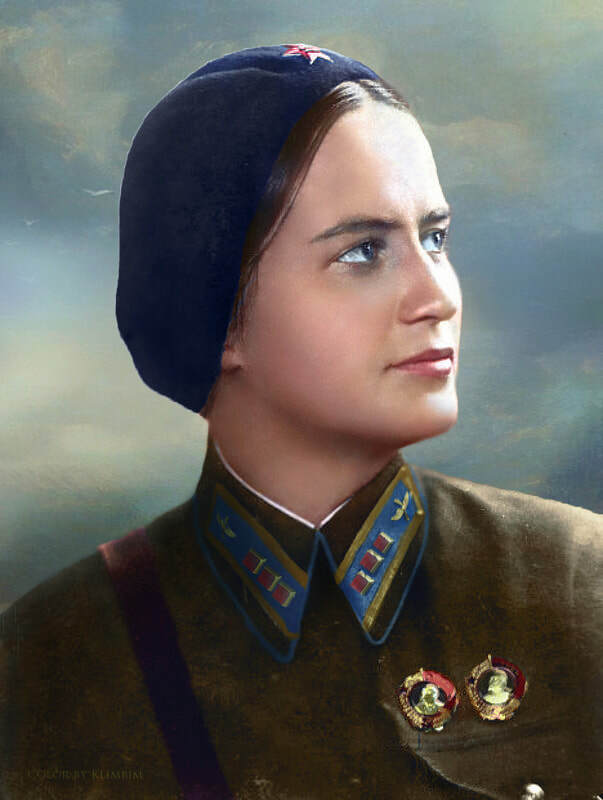 She died on September 16, 1982, at the age of 69, from a heart attack and was buried in the hero cemetery in Novodevichy, Moscow. In the light of all this fighting fervour, some might think of the exploits of Amazons, the warrior women of Greek mythology that perhaps have not even existed and are generally portrayed with severe and grim features, but by focusing on the beautiful and simple faces of the protagonists of this epic tale, you can catch a glimpse of the serene tranquillity of country housewives or the sweet gaze of mothers. 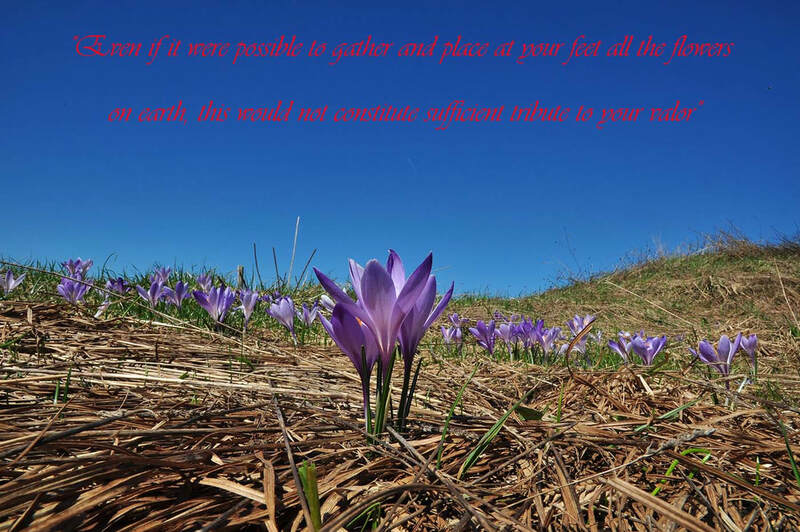 Most probably the god in the heavens in his infinite mercy extended his protective wing over those expeditions since only 32 did not return; certainly not a few but could have been much more. 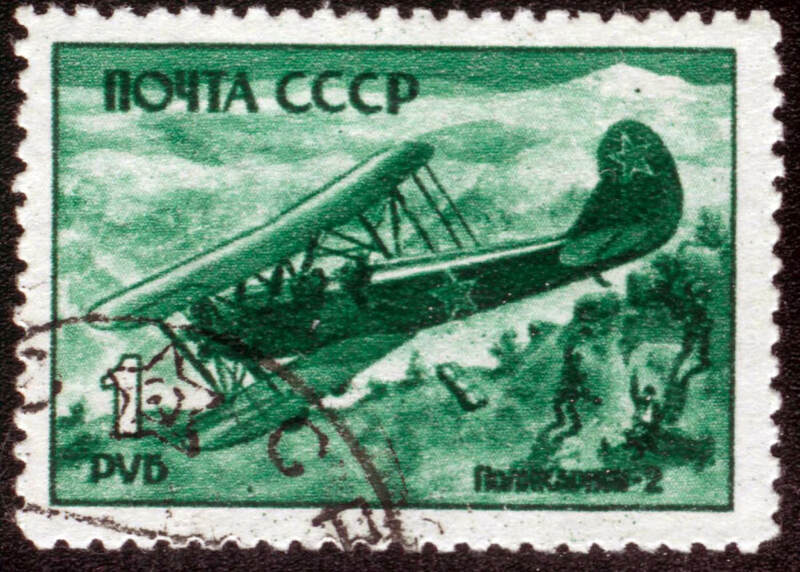 Russian stamp dedicated to the "Night Witches"
Gian Piero Milanetti is the author of the book "Le Streghe della notte, la storia non detta delle eroiche ragazze-pilota dell'Unione Sovietica nella Grande Guerra Patriottica". 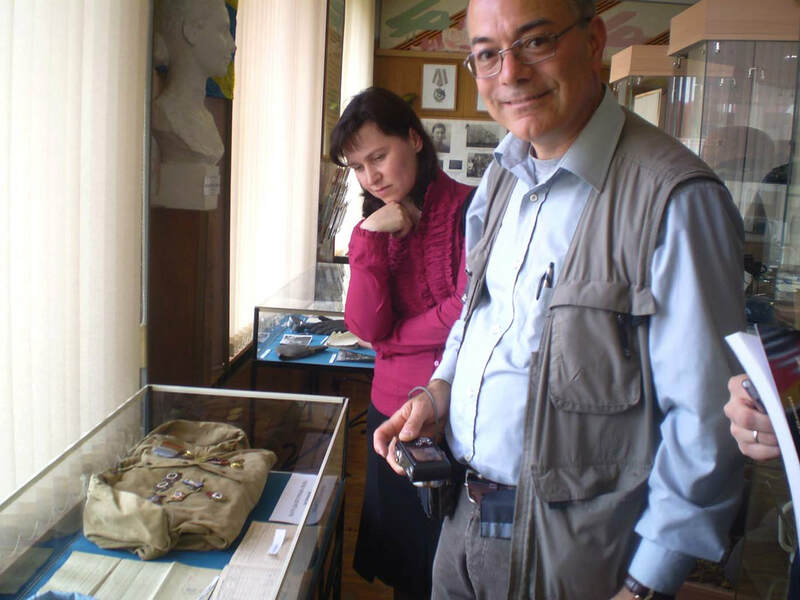 Milanetti is a full-fledged researcher: he analyzes archival documents, visits places where events happened, finds and interviews the remaining protagonists and hears the testimonies of who is well informed on the subject: then he cross references the collected data and make a summary. Easy? Not really, especially if the investigations are conducted thousands of kilometers away, in an unknown land, a difficult language, a society that still has difficulty in opening the cabinets for the consultation of documents; not to say the costs of live research: the trip, the stay, the costs of the interpreters, etc., all against him. Thanks to his consistency and prolonged commitment, he has contributed considerably to make a page of history "neglected" by the insiders and almost never told in classrooms known again. 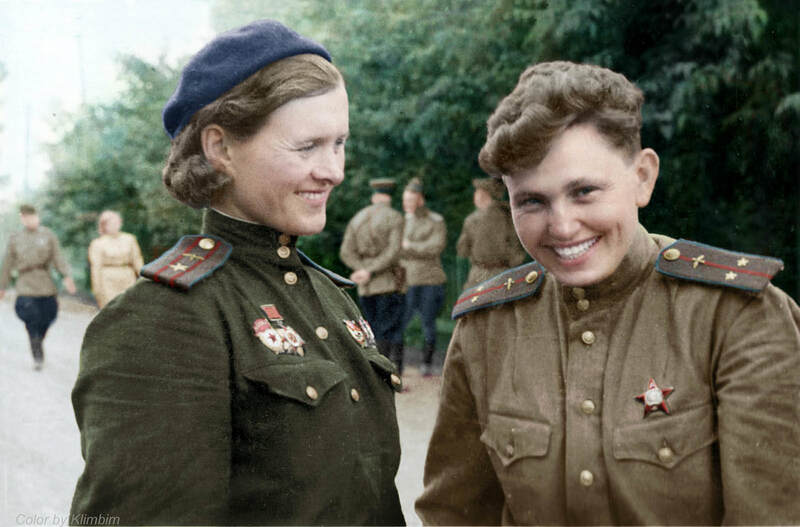 A page of history made by the heroic Russian women who, in order to defend their homeland, have decided to make war on the front lines like their fathers, brothers and husbands. 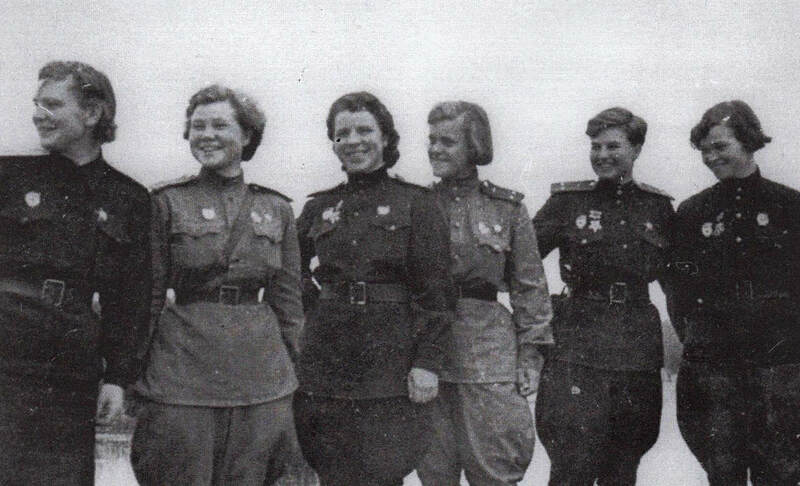 These women not only lived up to the comparison with the males, but on several occasions they overcame them. The awards that the "Witches" have received are, in proportion to the male wards, far superior. 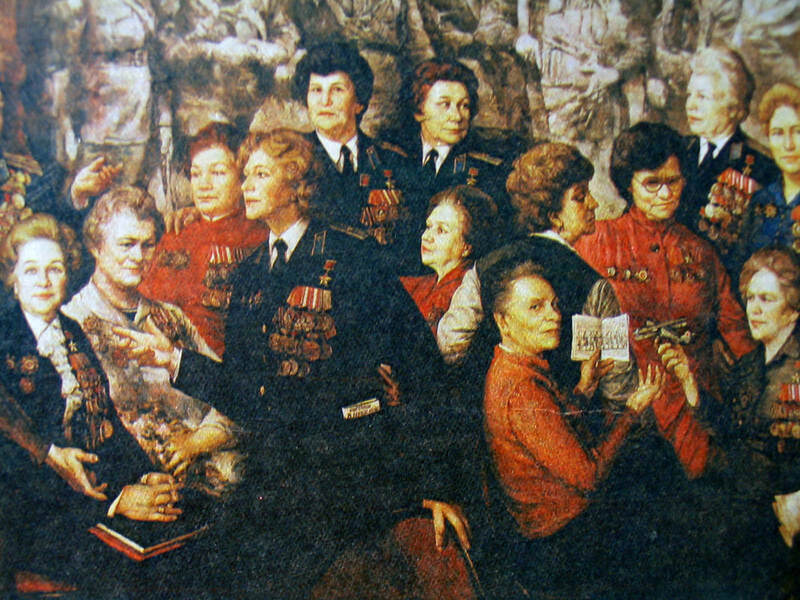 23 "Witches" in a department that counted a few hundred received the highest honors and became "Heroines of the Soviet Union". A unique case in the world. Painting dedicated to the "Witches"
Through lines of his book you read a true story, at times moving, which comes to light due to the commitment and thoroughness of the author, who tries to give a little more justice to the great merits that, the female universe deserved. 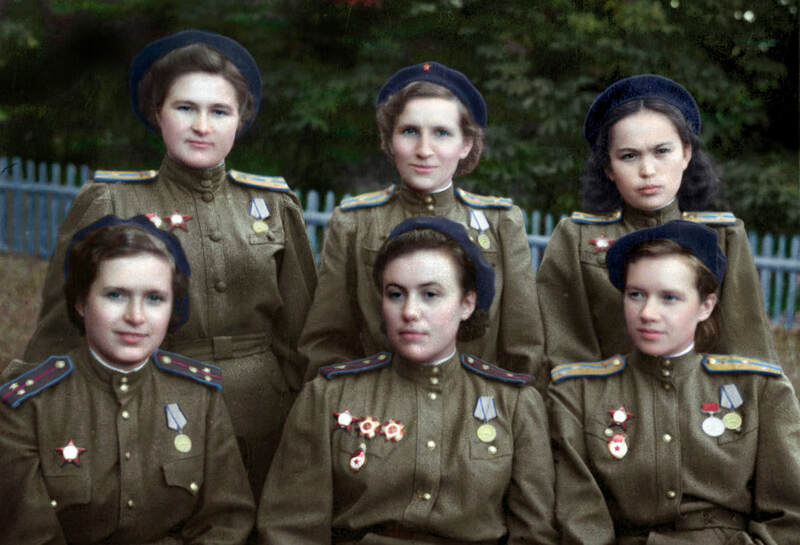 In the book there are details of the curricula of the girls from their life before enlisting up to the missions that ended with honors and acknowledgments or, often, with death. For completeness of information a few pages, with the same detail, is reserved for the Axis of Hitlerian aviation who likewise fought with valour. 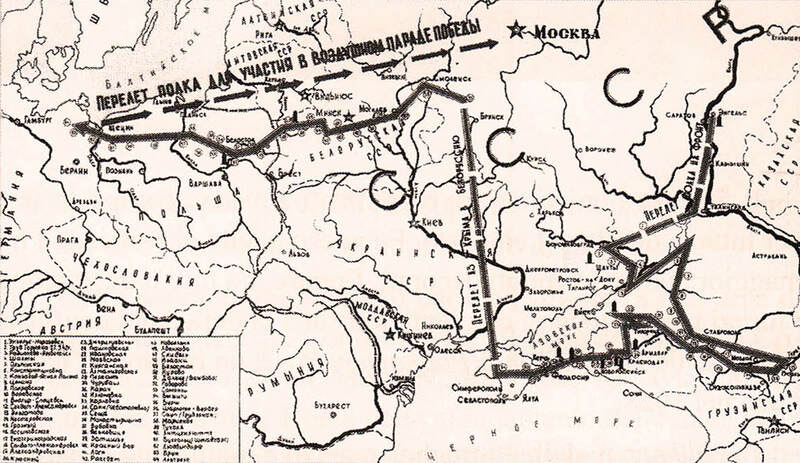 From reading it appears very evident that also "the other half of the sky" made a decisive contribution to the great victory. 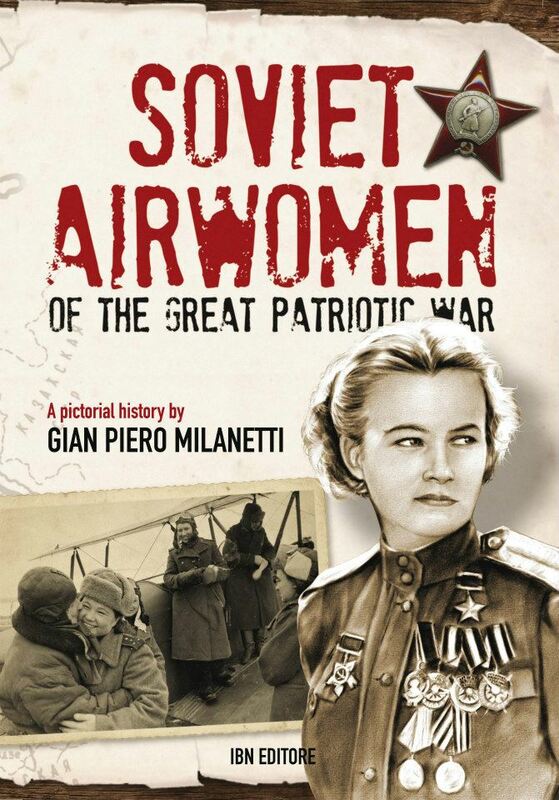 In the opening pages Galina Brock-Beltsova, veteran of the Great Patriotic War and vice-president of the Russian aviation group, sincerely and from the bottom of her heart expresses gratitude to the author for his laborious efforts to write and publish a book about heroic women- pilots. 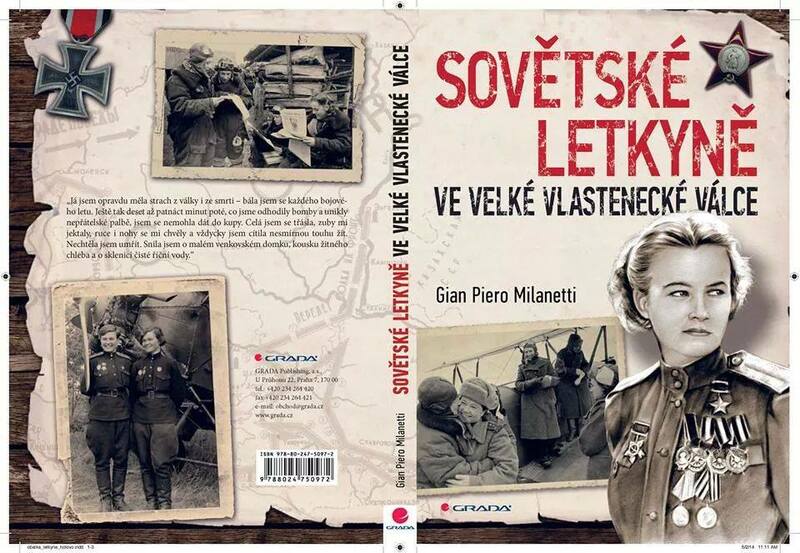 The Milanetti book is accompanied by many photographs with detailed captions. Below some photos taken from the book. Two songs in honor of the "Witches"
Gian Piero Milanetti, author of the aforementioned book "Le Streghe della Notte", is also a songwriter and has dedicated two songs to the brave Russian women who defended their land against the attack of the Nazis and Fascists during the Second World War. 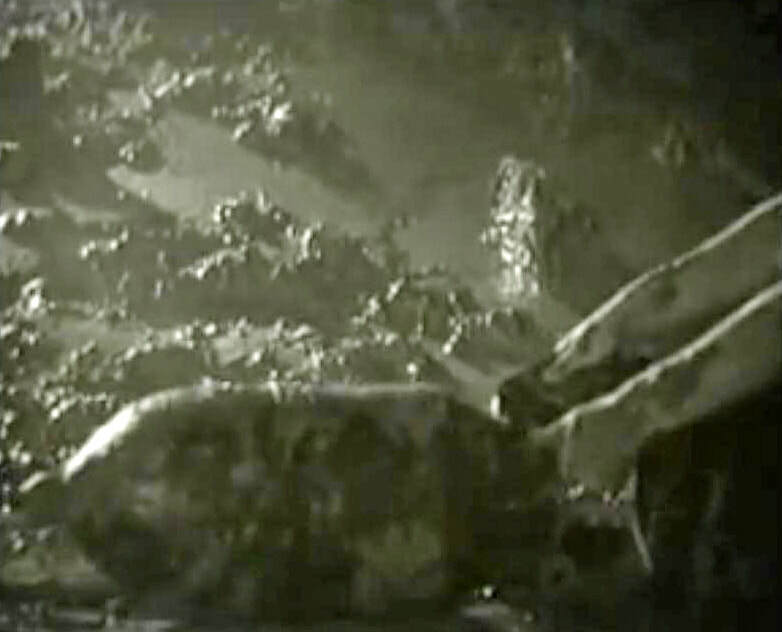 Hereunder the videos granted to the Grac by the author. 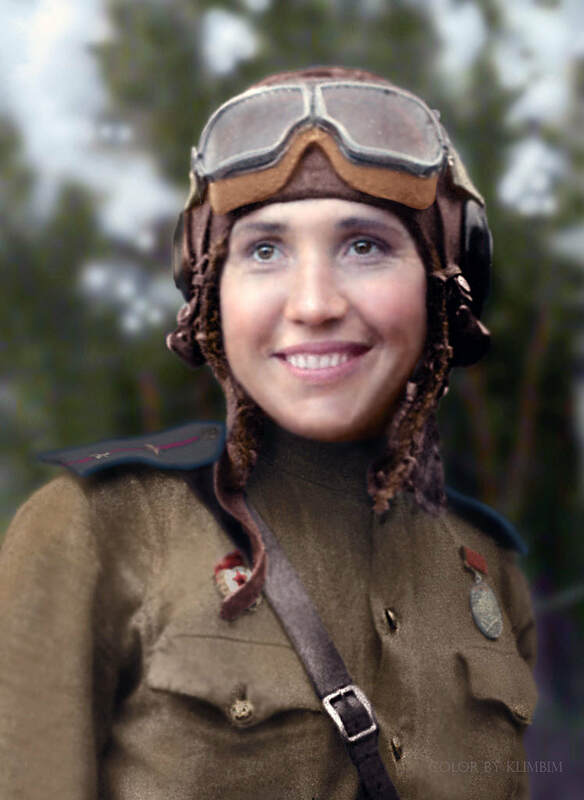 - Gunilla Bresky for the photos taken from his documentary film "Night Witches, 588th Night Bomber Regiment".